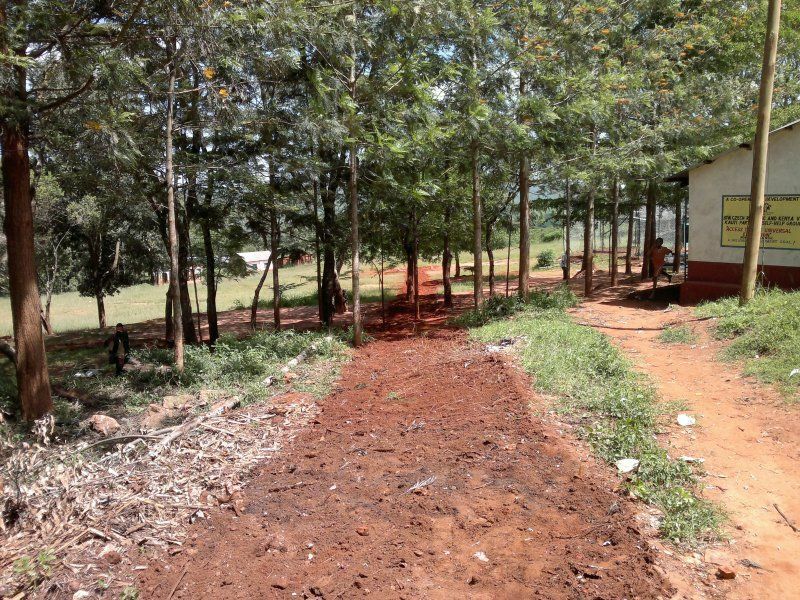 The area of Kauti is situated about 80 kilometres southwest of Nairobi and it covers approximately 15 square kilometres. 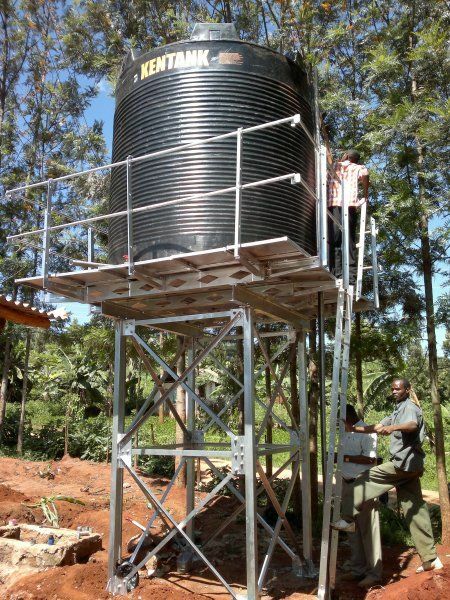 There are about 30 000 inhabitants who make their living solely by farming and who are completely dependent on the natural sources of drinking water. 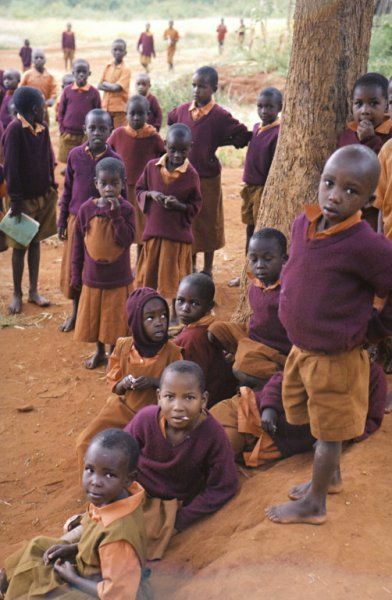 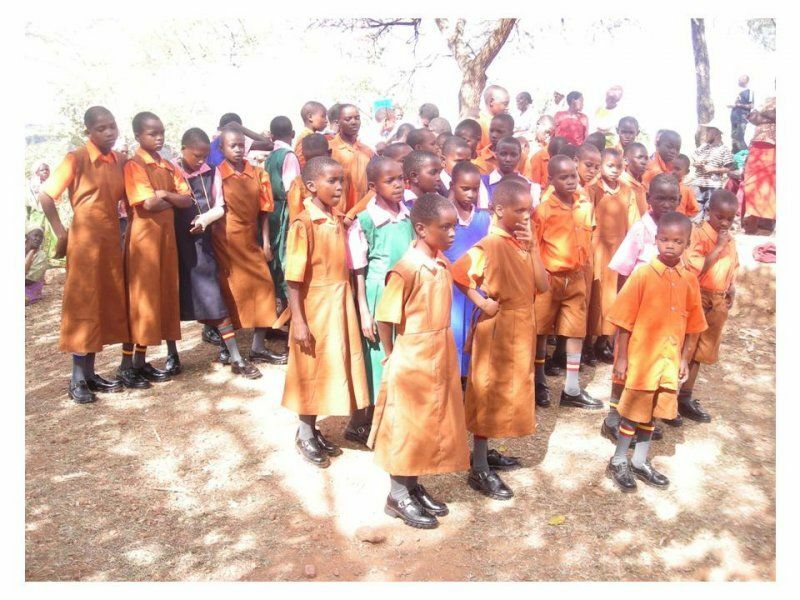 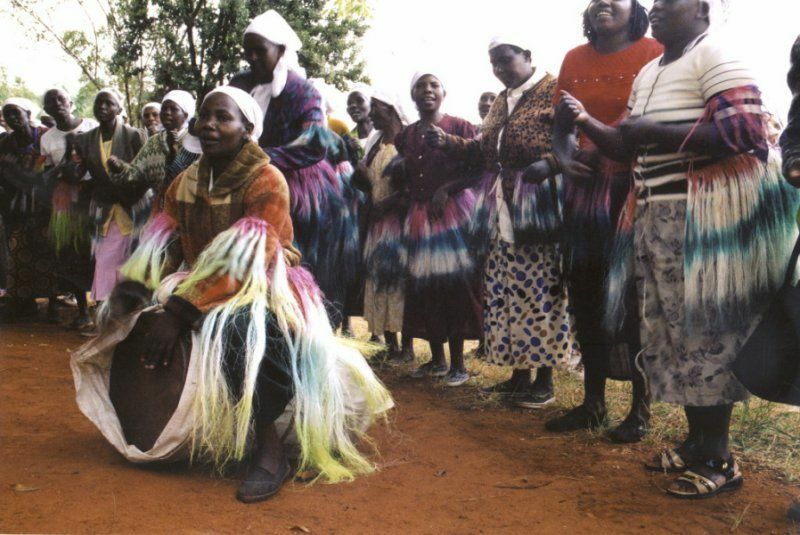 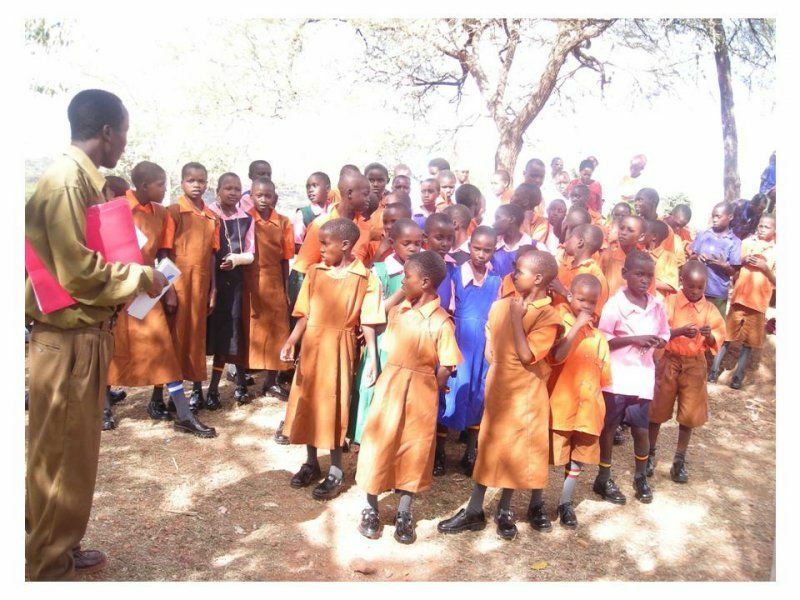 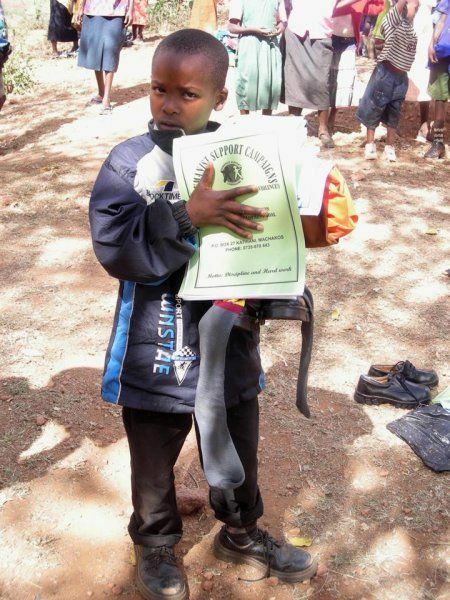 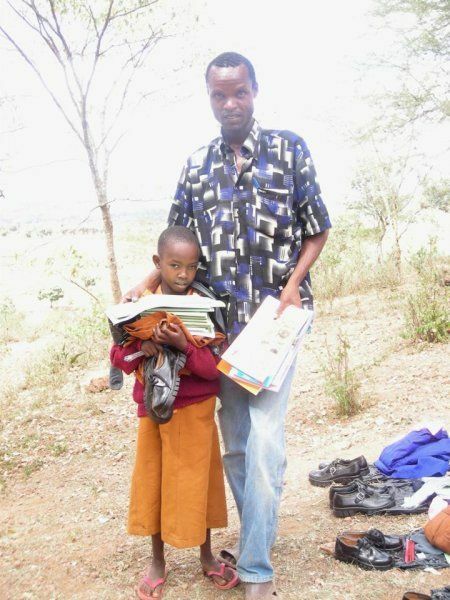 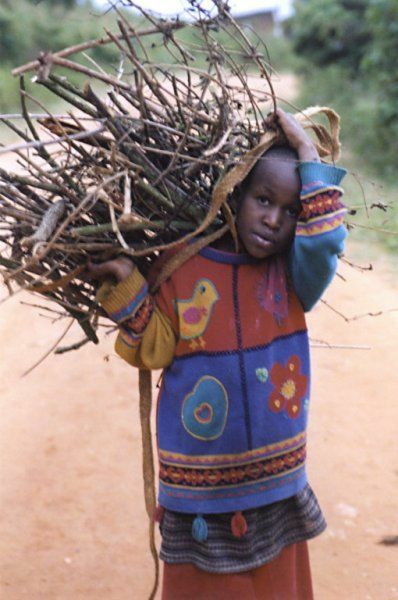 We first visited Kauti in 2002, when the local Kauti Primary School took part in the project Adoption of African children- Project of long distance help. 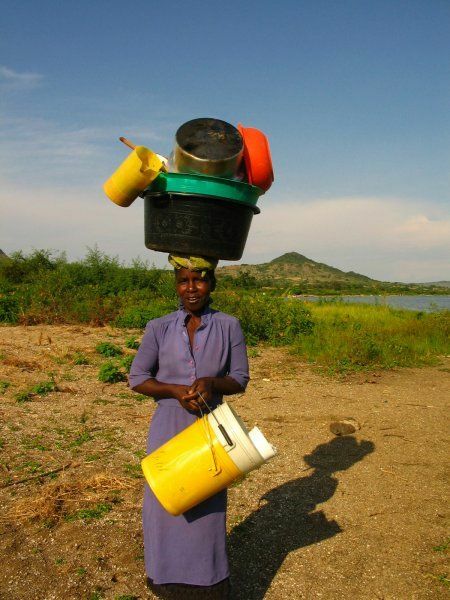 Seeing kids a women carrying heavy canisters with water from places kilometres away until late at night was a very intense experience for us. 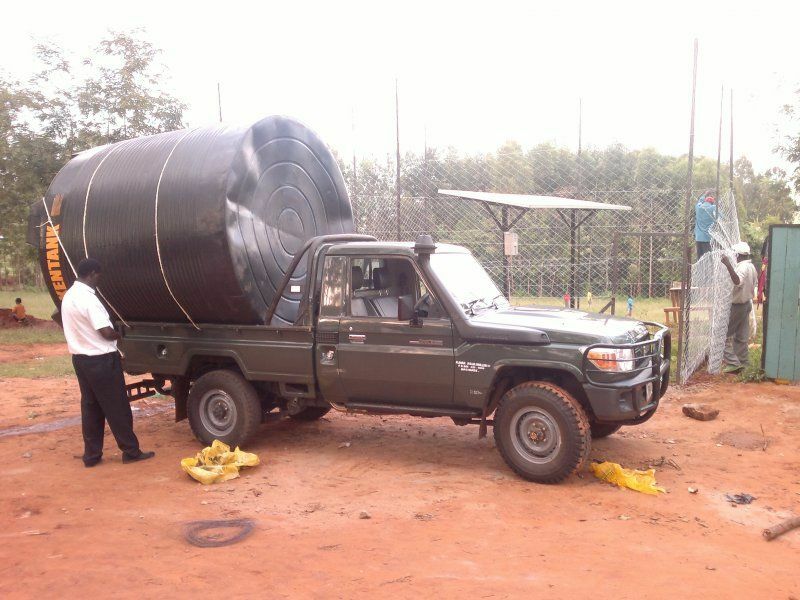 So we decided to help solve the disastrous situation of poor water supply. 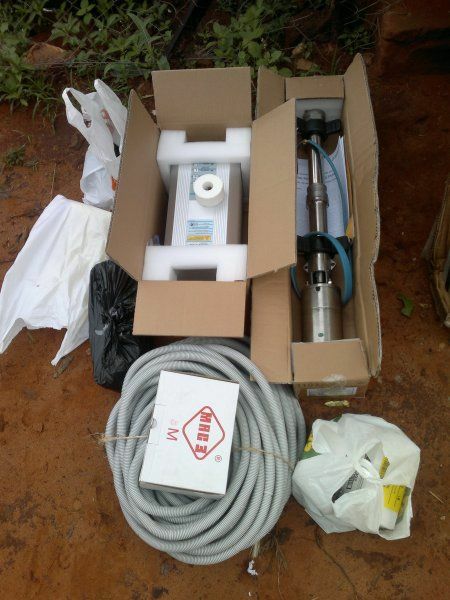 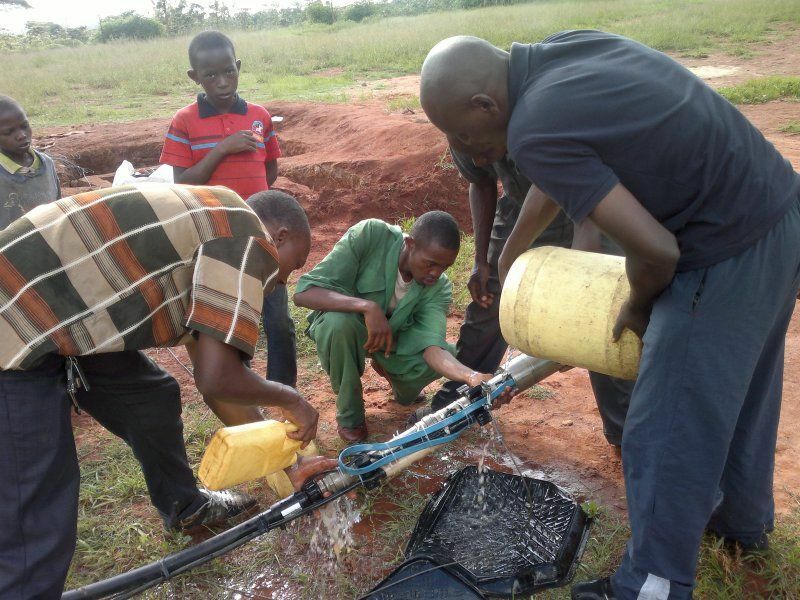 That is how the project "Water for Kauti" was established. 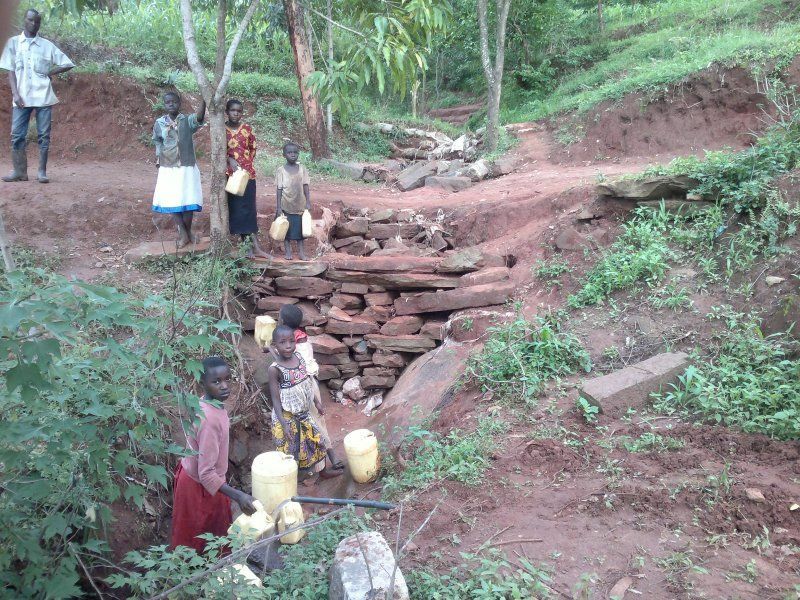 Its objective was to fund finances for water sanitation, to arrange easier access to water, and to improve the quality of drinking water which could significantly improve the life of the local people- to increase the agricultural production and to decrease the danger of starvation. 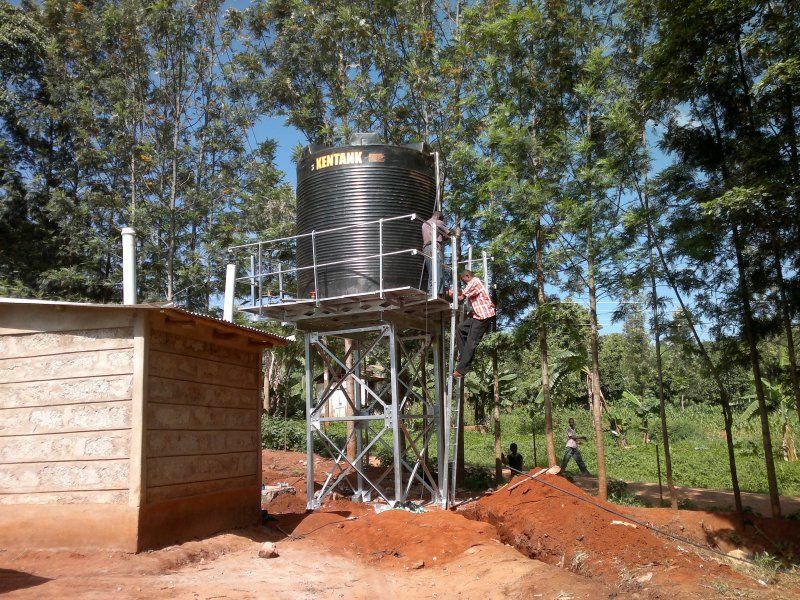 Moreover, the good-quality water would decrease the high sickness and mortality rate in this area. 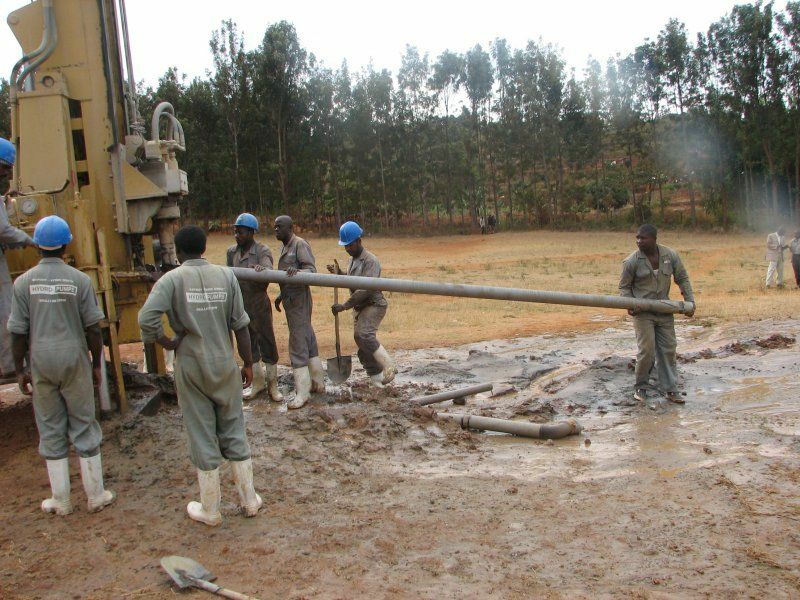 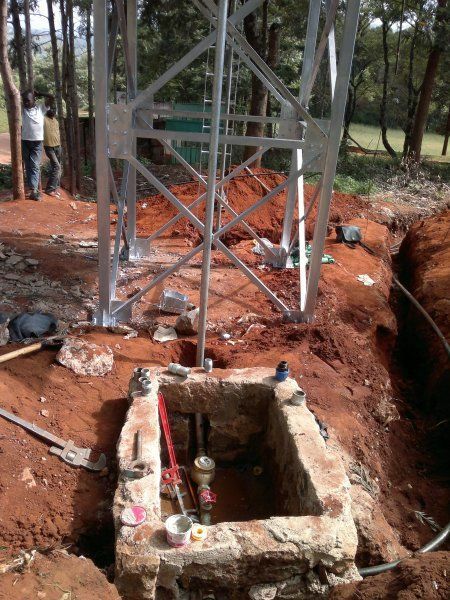 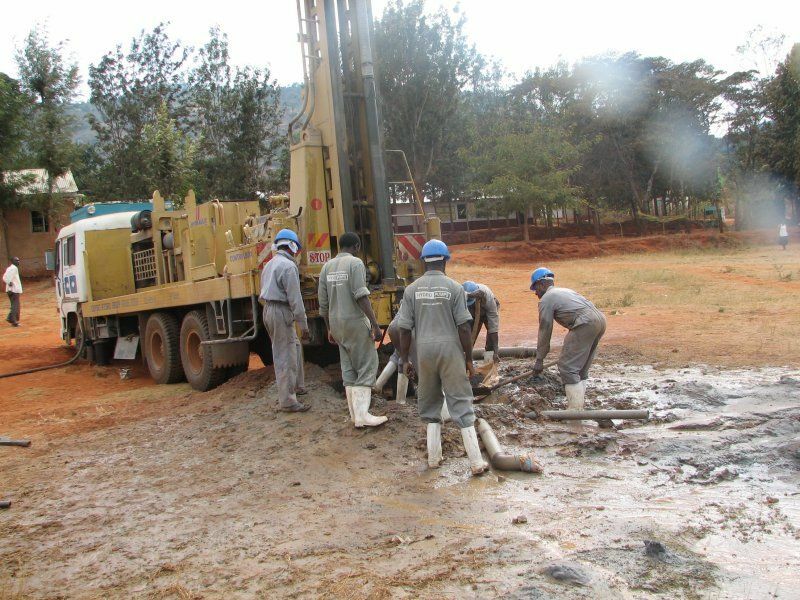 Realisation of the project began on the 6th of September 2010 with the participation of a Kenyan company Mooni Contracotrs and under the technical supervision of Poyry s.r.o. 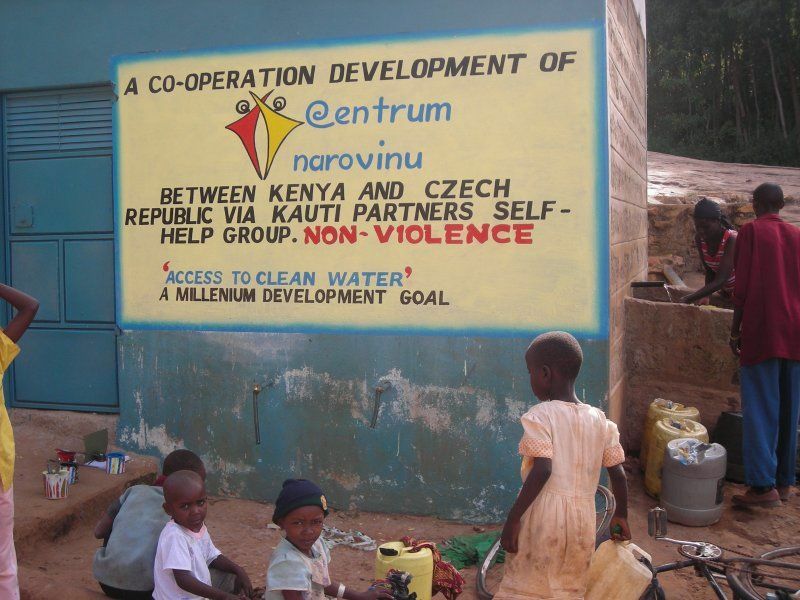 company from Brno. 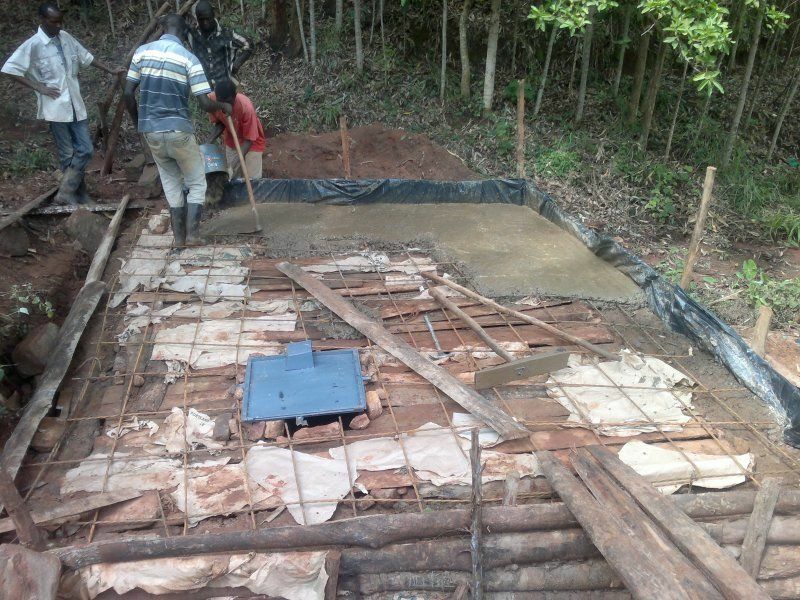 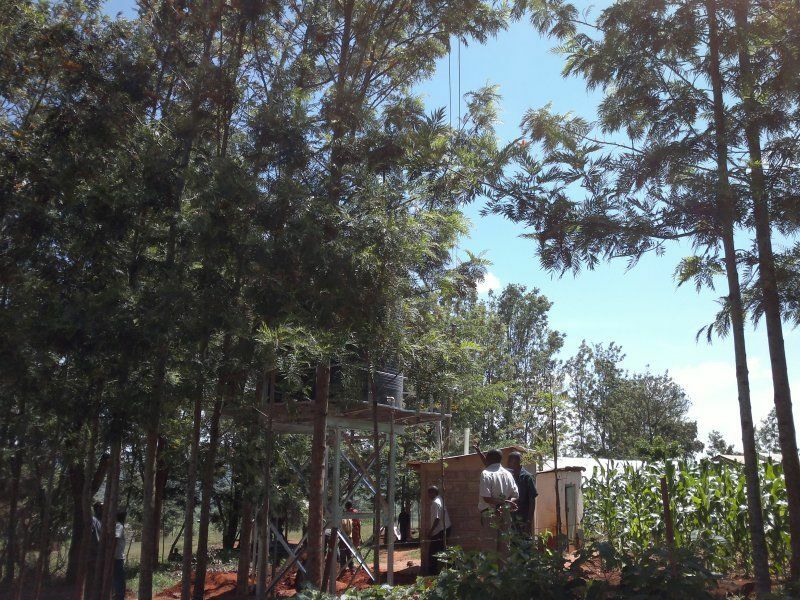 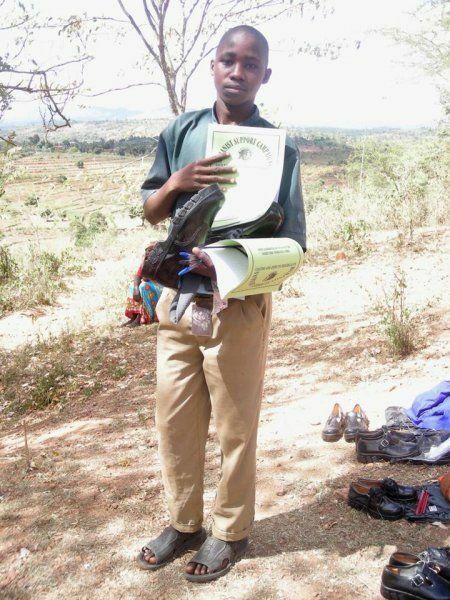 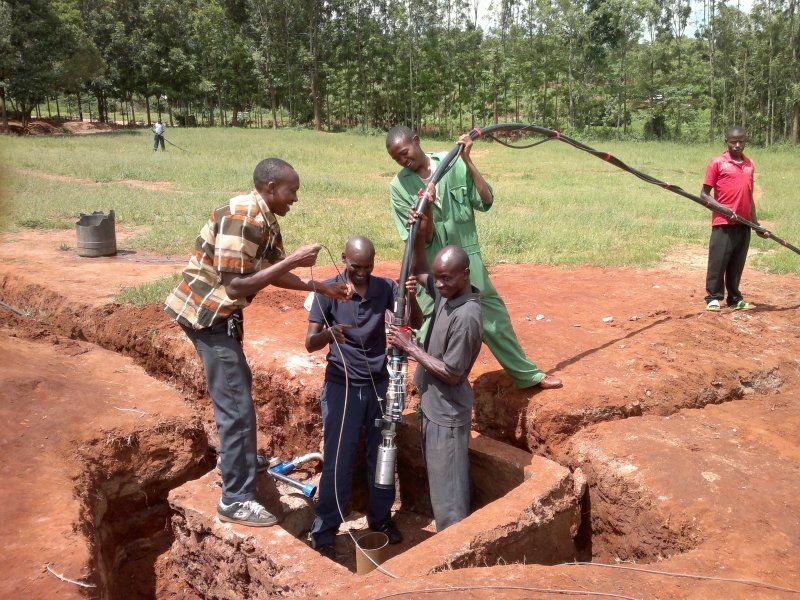 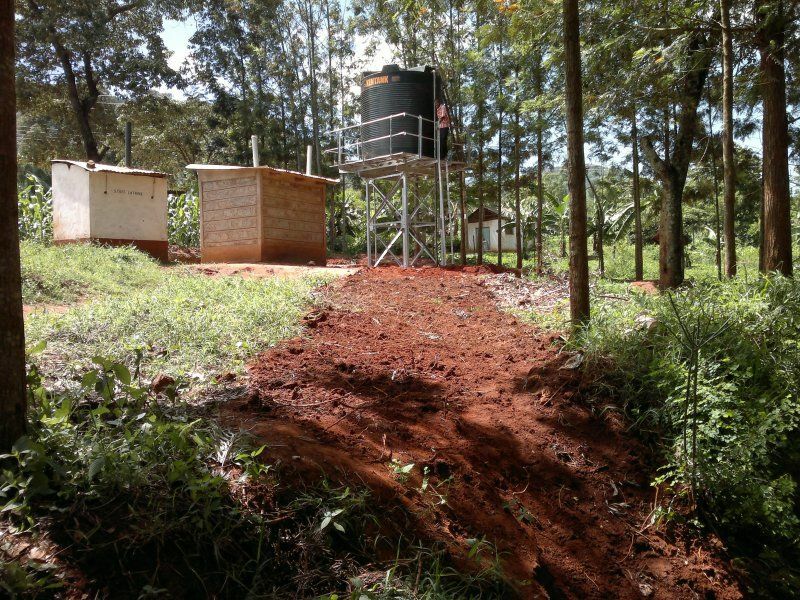 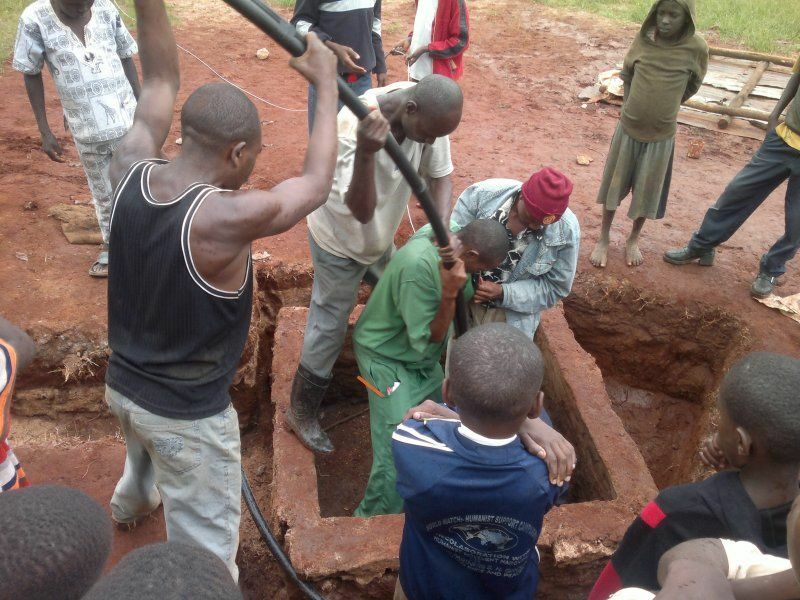 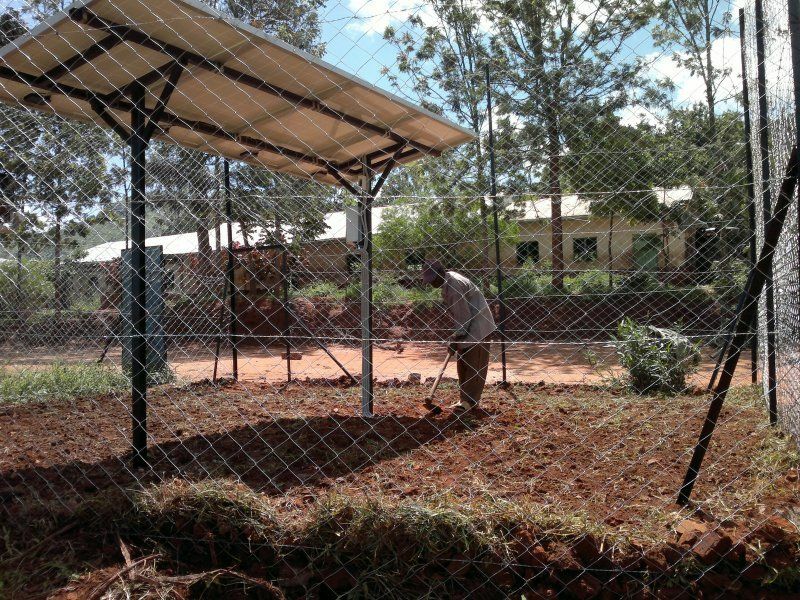 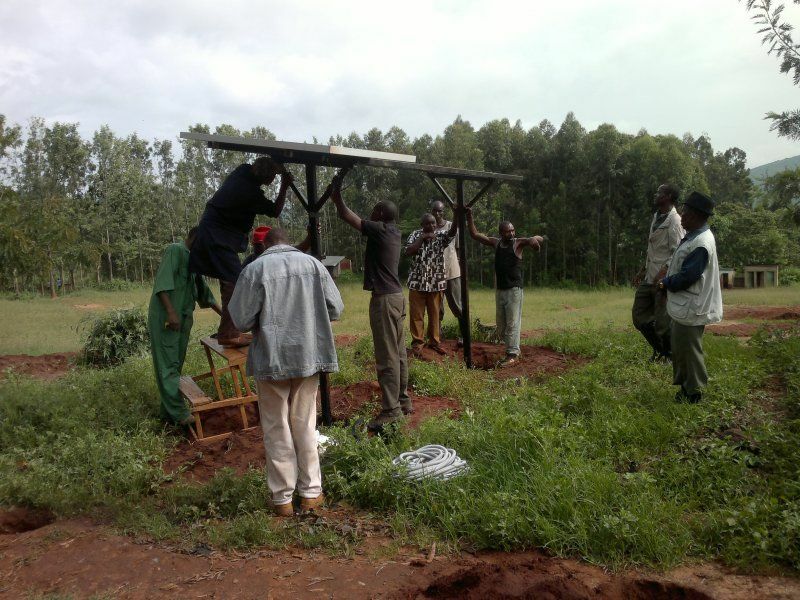 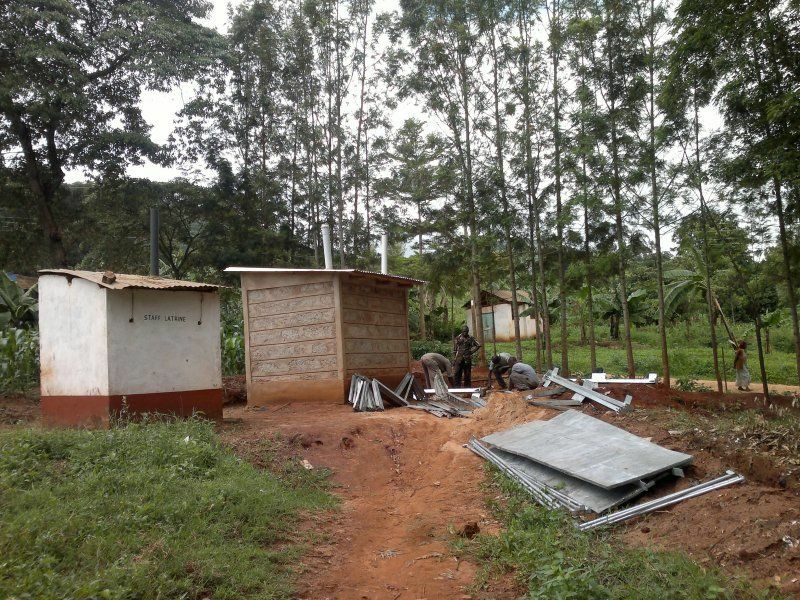 The first phase, which included sanitation of the already existing underground water springs and the collection of rainwater on the premises of Kauti Primary School and from the roofs of the farm, was finished by the beginning of November 2010. 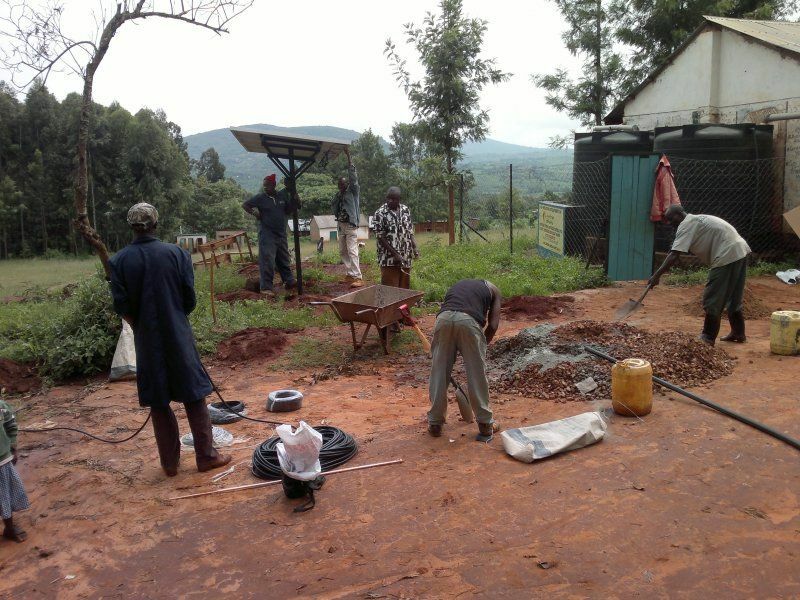 The local community actively participated in the project- they performed ground work and also assisted (for free) in the installation. 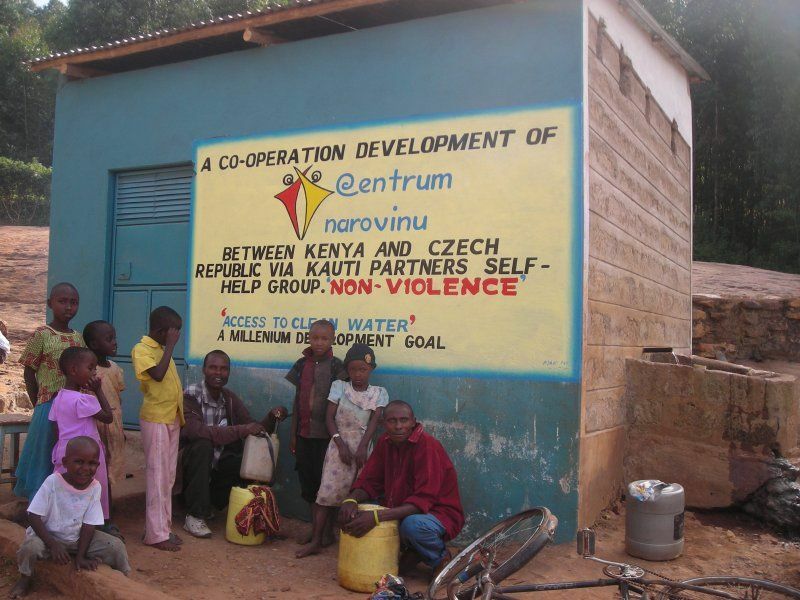 Within the project, the local inhabitants were also trained by representatives from a Czech water management company, in order to ensure the project´s future sustainability and also its expansion to other areas. 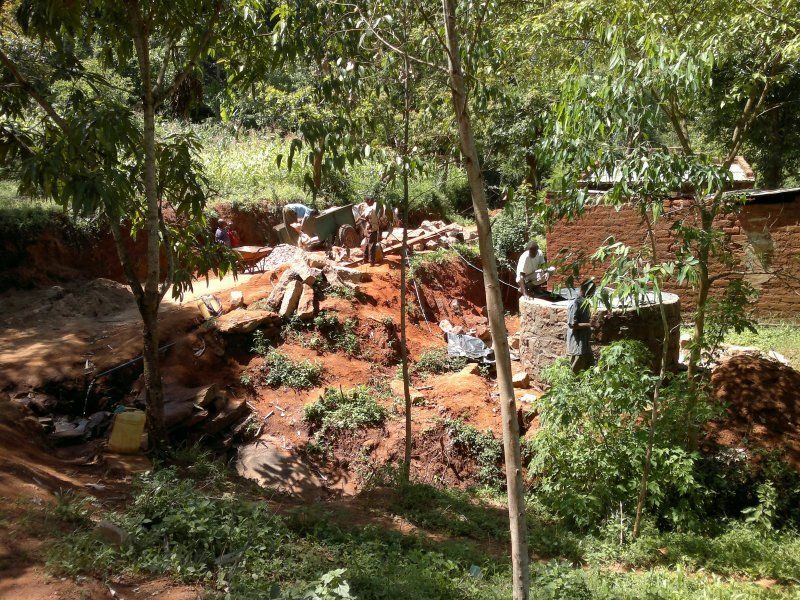 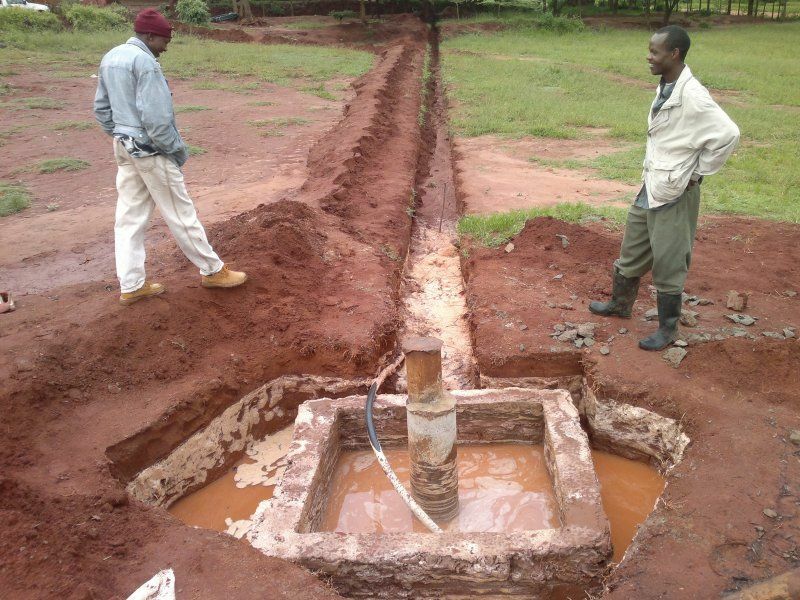 At the same time, a hydrogeological research, necessary for digging a water well- another planned phase of the project, took place as a follow-up to the already initiated sanitation work on other selected springs. 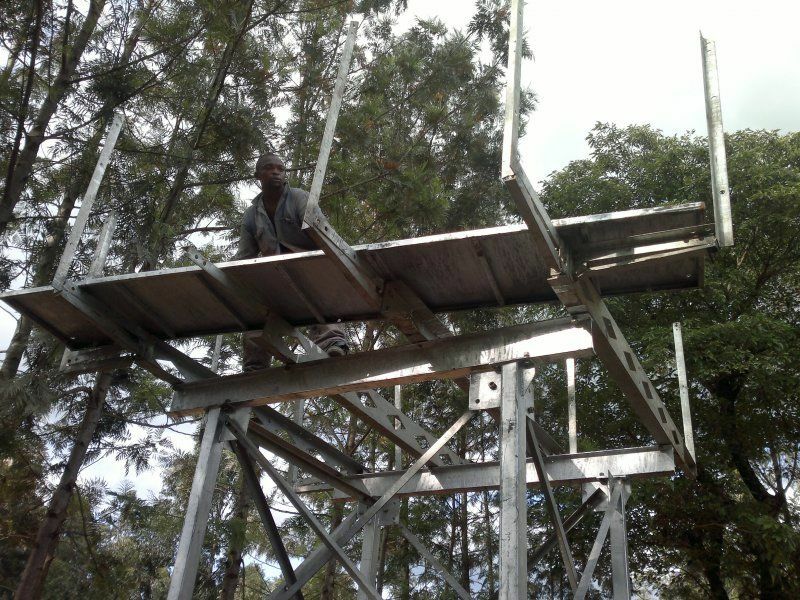 monitoring of the arrangements accepted in 2010. 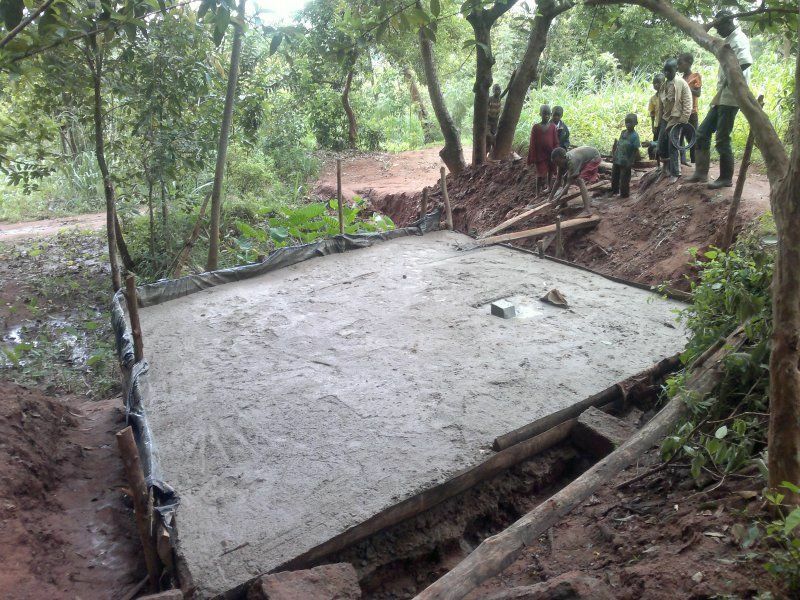 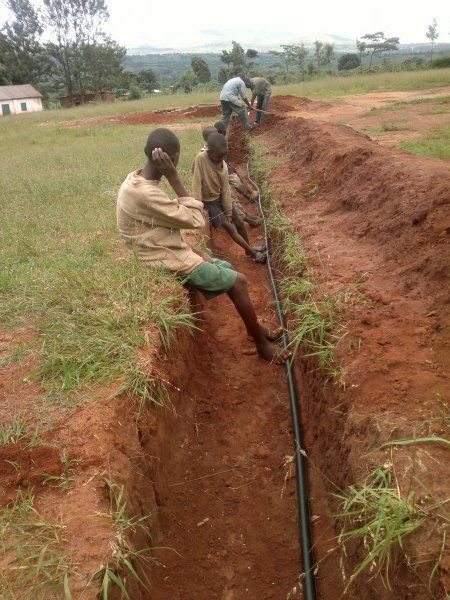 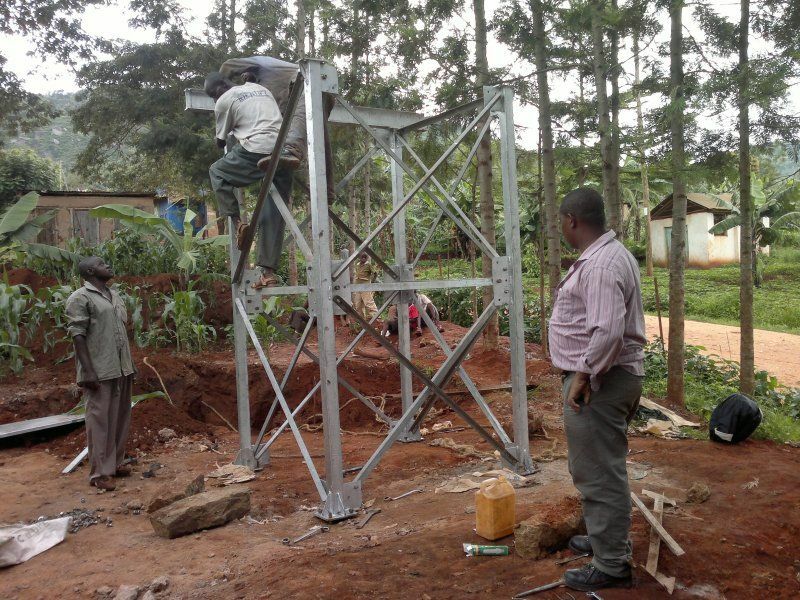 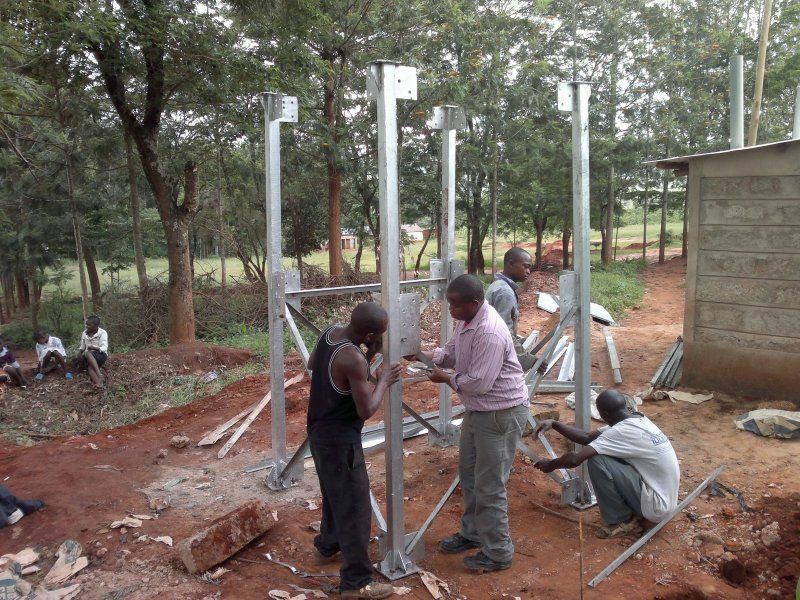 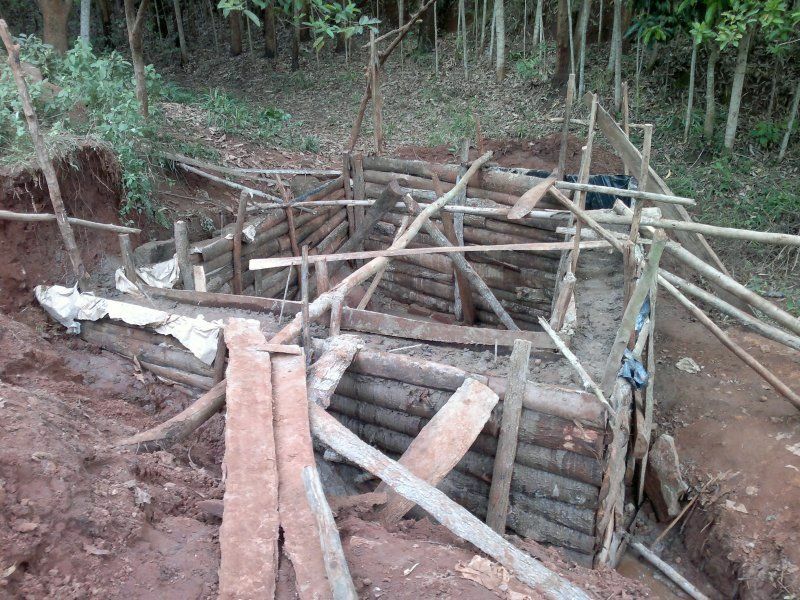 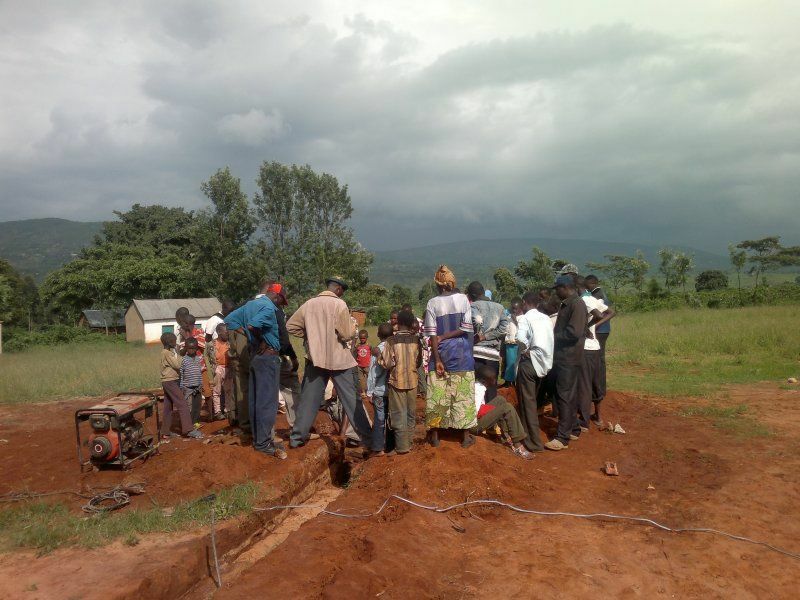 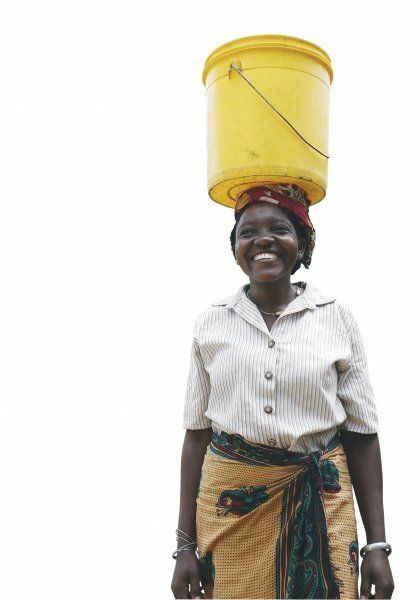 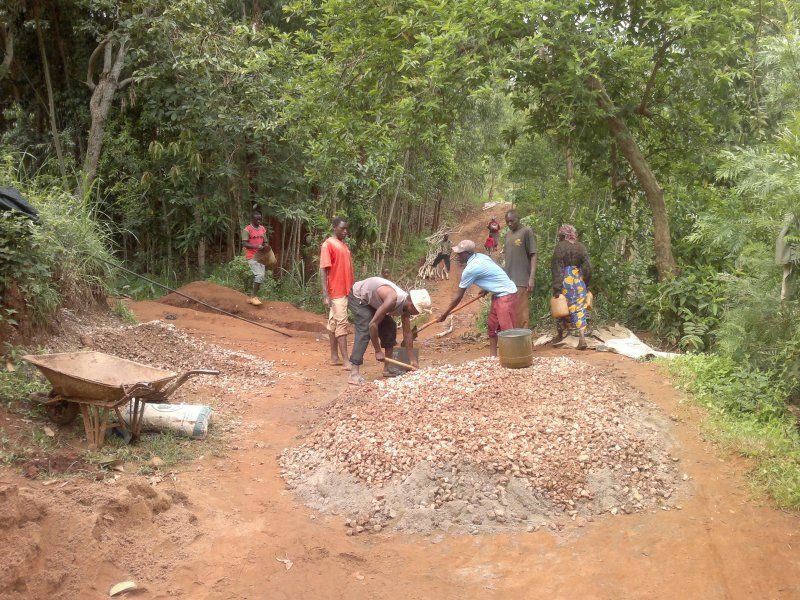 In 2012, the third phase of the project was launched- a construction of an irrigation system for the area of Katitu- Kauti in order to capture parts of rainwater flows in Kwamuthukya, the tributary of the river Thwake, water accumulation and transport to more distant and higher-altitude (inconveniently placed) areas. 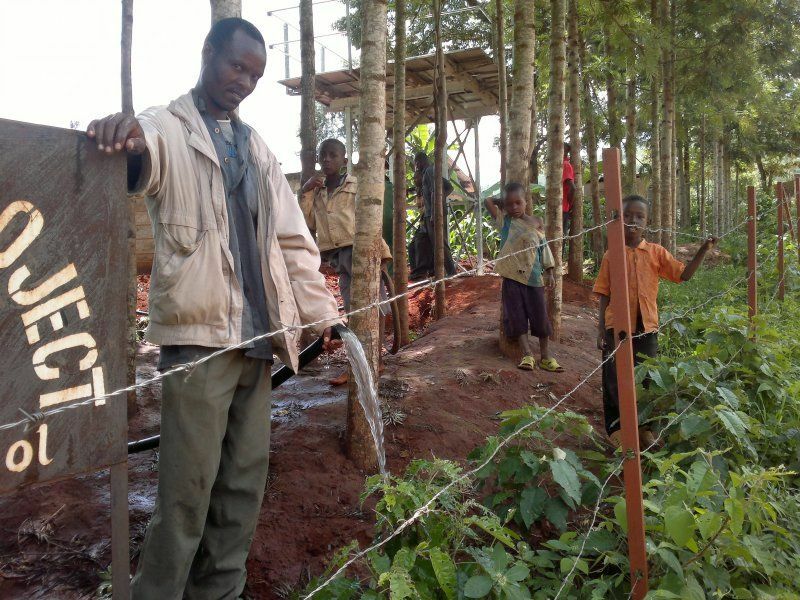 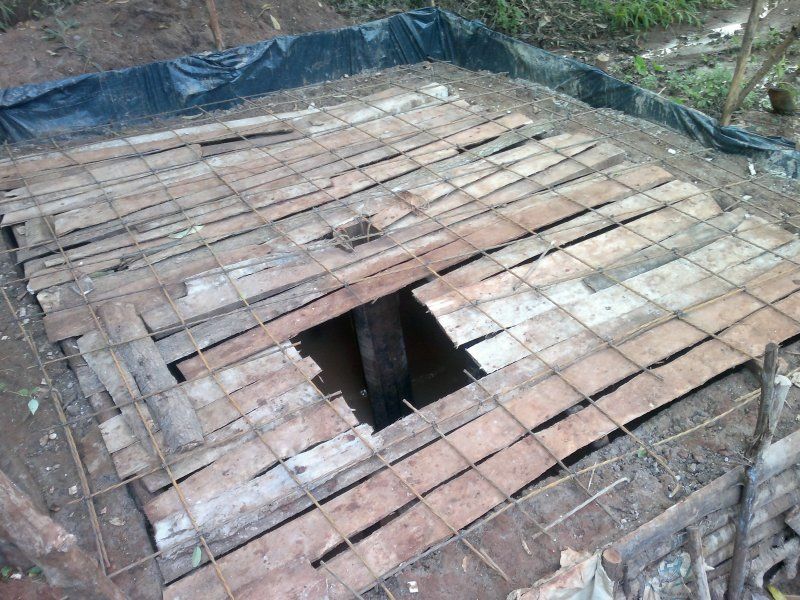 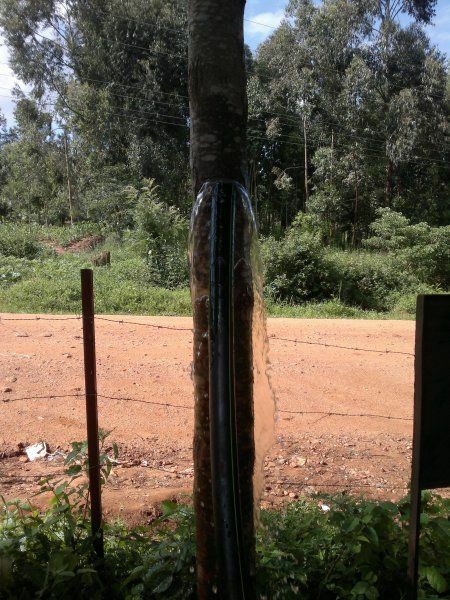 The project does not solve the problem of water insufficiency for farming during the dry seasons, but it should serve as an example of how to capture the torrential water which is abundant during the rainy seasons for later use. 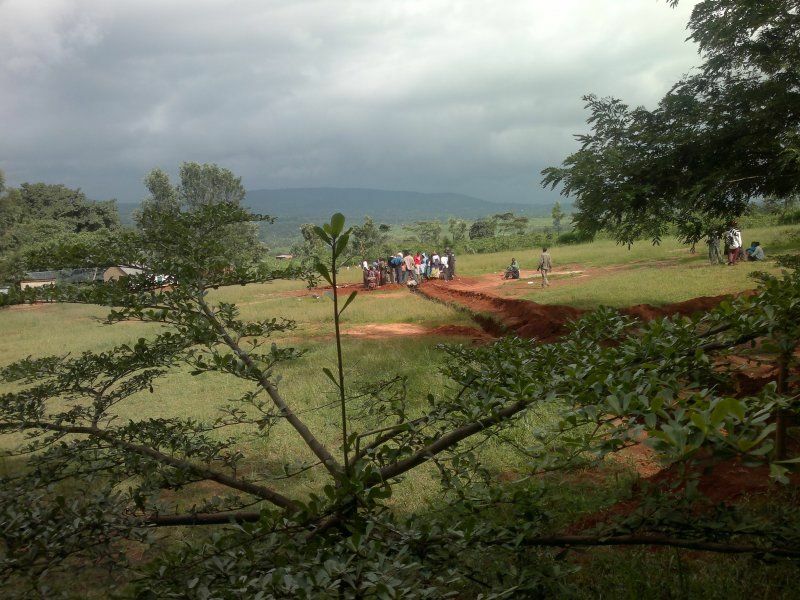 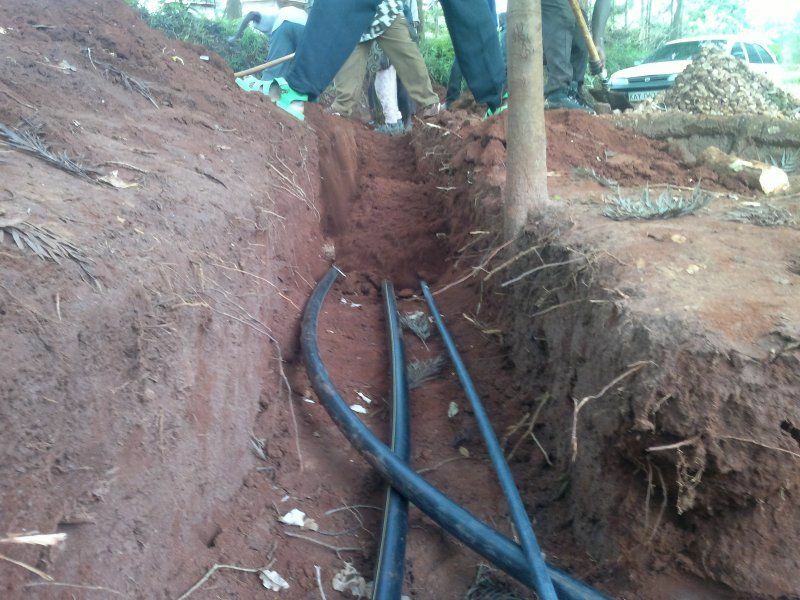 The main construction and installation works were carried out by a specialized company; digging and helping works were done by the local community, who also determined the area that should be within the reach of the irrigation system. 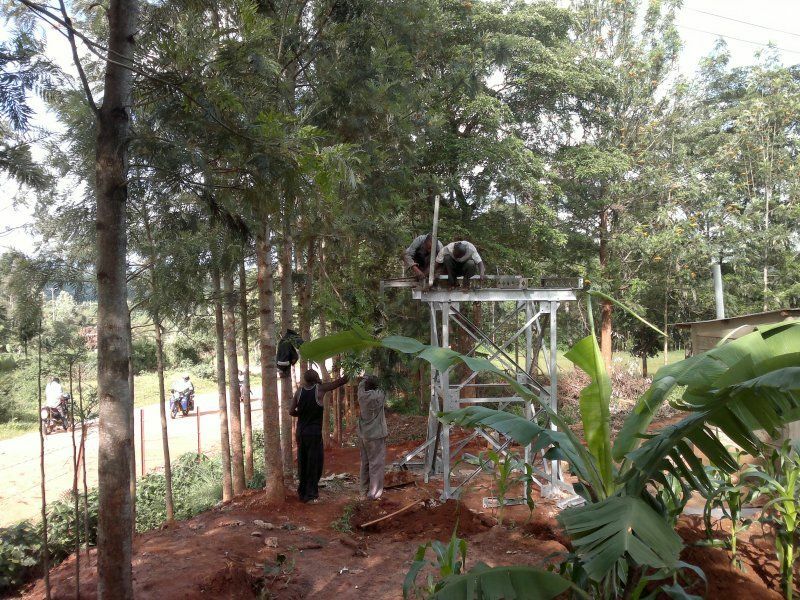 Having constructed the individual distributional branches, the system should cover about 100 hectares of small terraced fields. 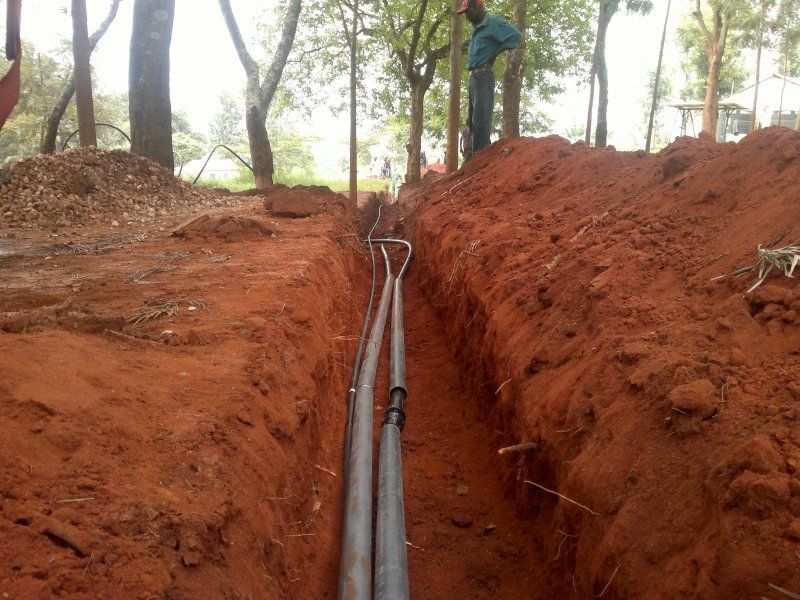 Pipes for the water transport to the supplied areas were laid: 698 metres from the barrage to the main tank, 947 metres from the main tank to the second store tank, and a distributional pipe measuring 550 metres with 5 branches for water distribution to individual farms. 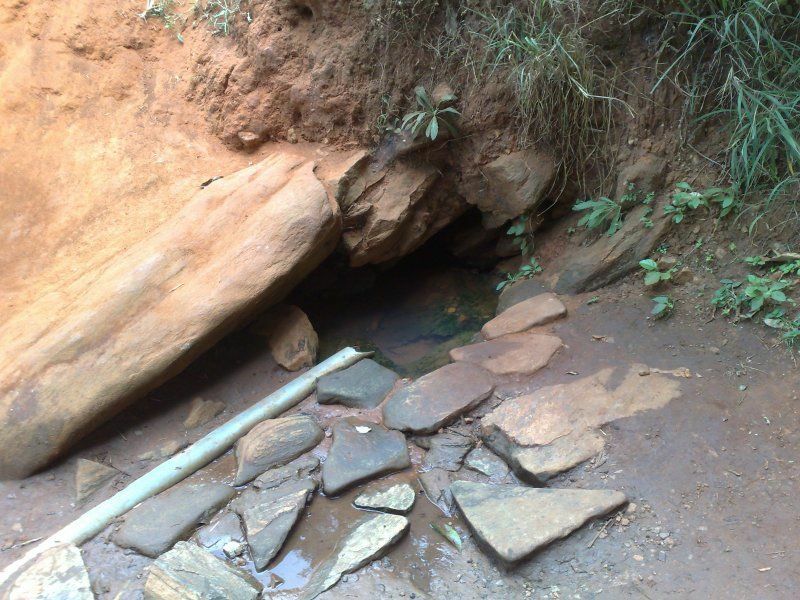 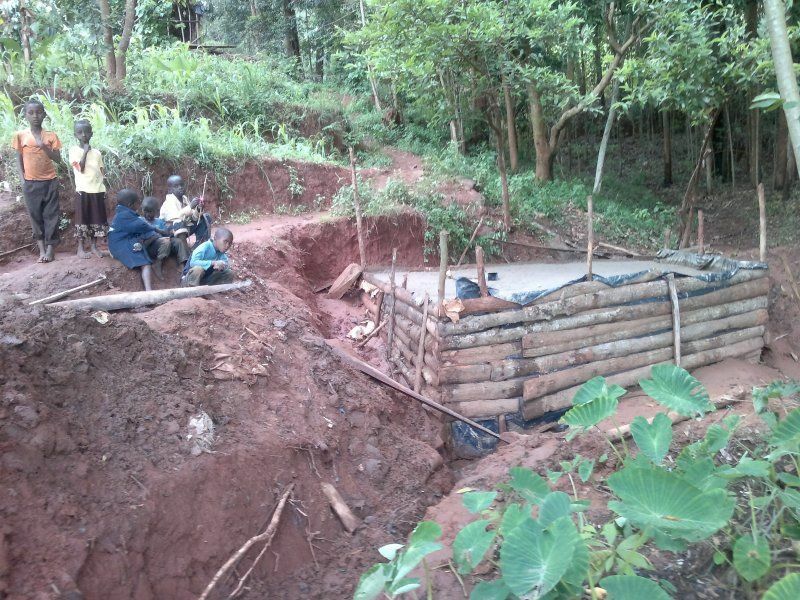 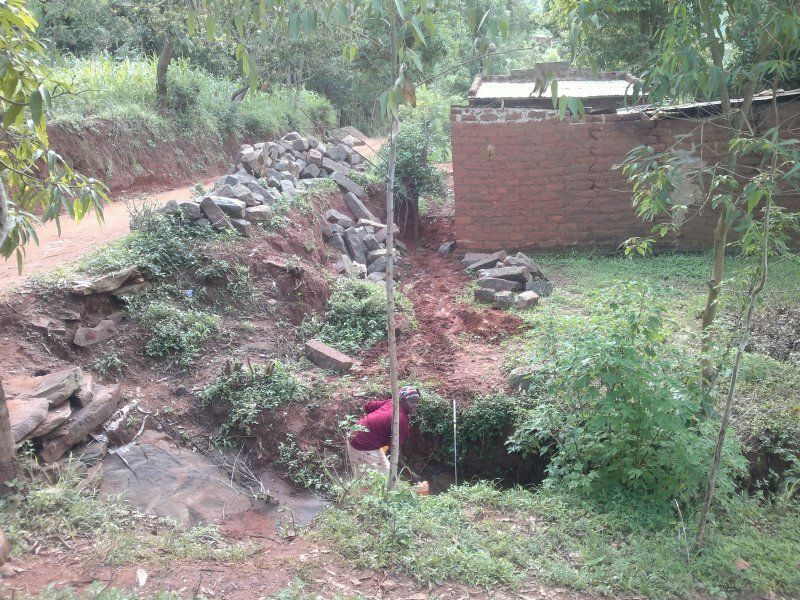 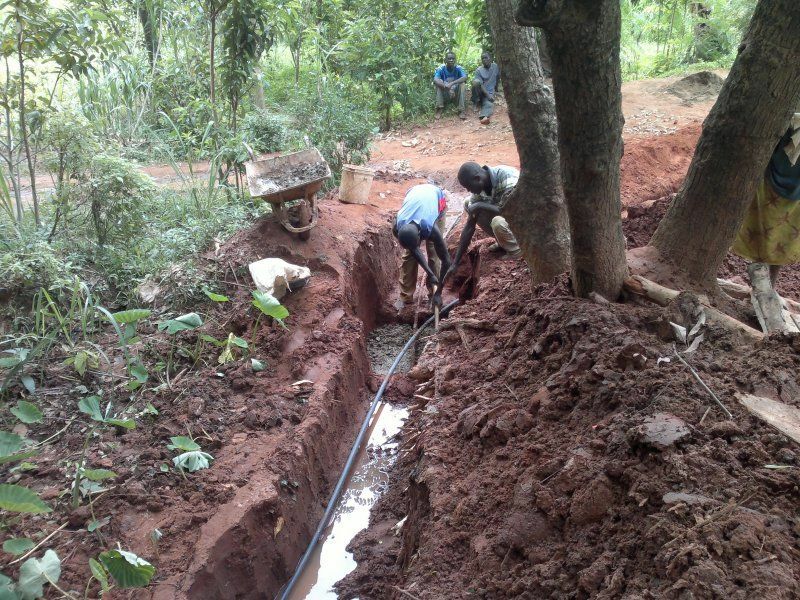 Sanitation of a spring close to Yanzonga primary school was carried out along with the irrigation system construction. 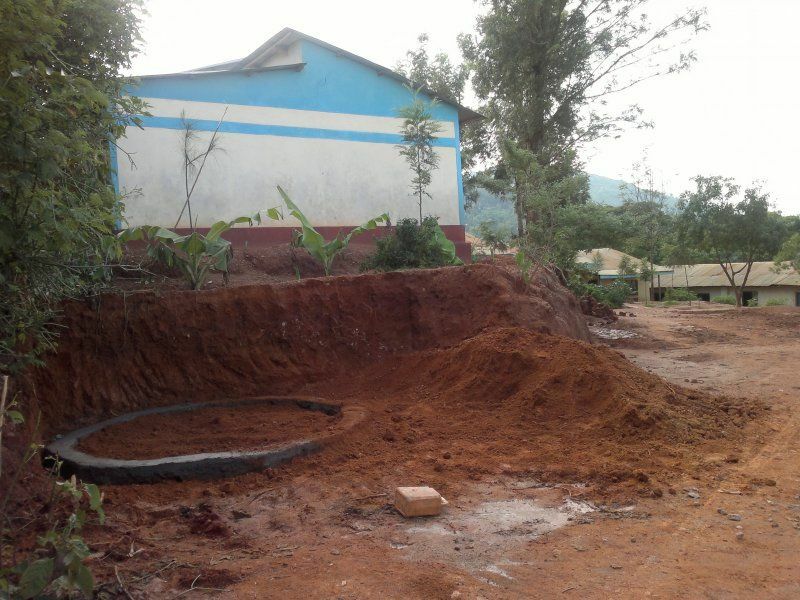 The sanitation was originally planned for year 2011, but we had been unable to get an approval of one of the land owners in time. 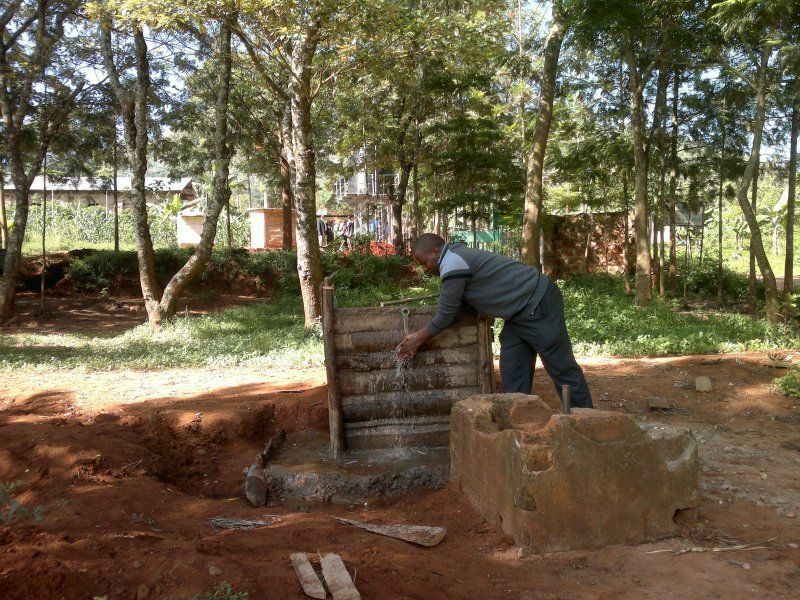 Nevertheless, the spring became a widely used water source all year-round and the community, with the help of the school, was eventually able to get the necessary approval. 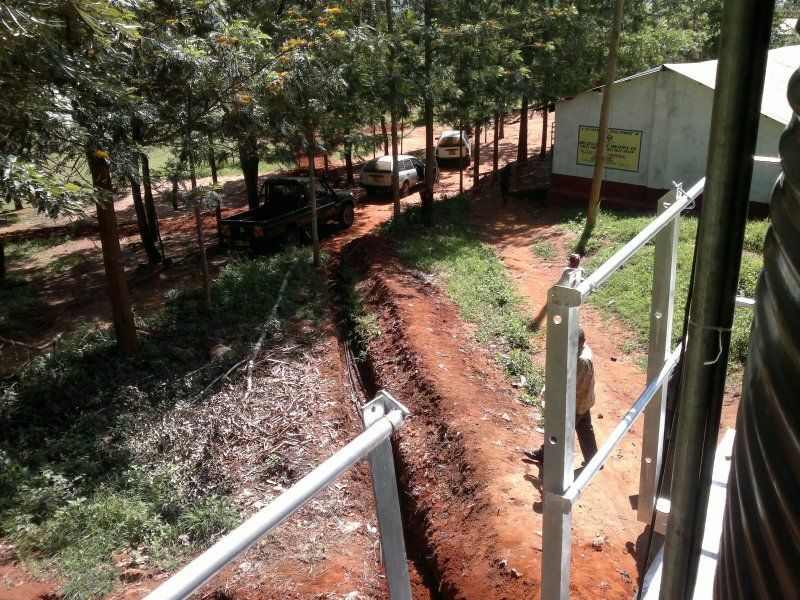 After technical consultations and the approval by the Czech side, this project got also carried out by the local inhabitants without the need to include any professional suppliers. 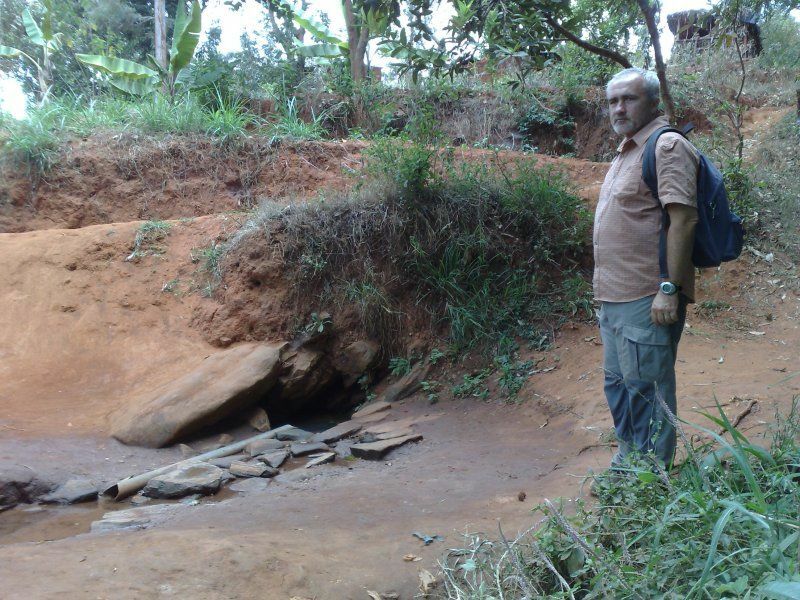 The place of the spring was embed and enclosed with a concrete tank, where the water accumulates, then flows away to the store tank, and finally travels by the power of gravity to two distributional spots, the first out of which is situated by the main road and the second one on the school premises. 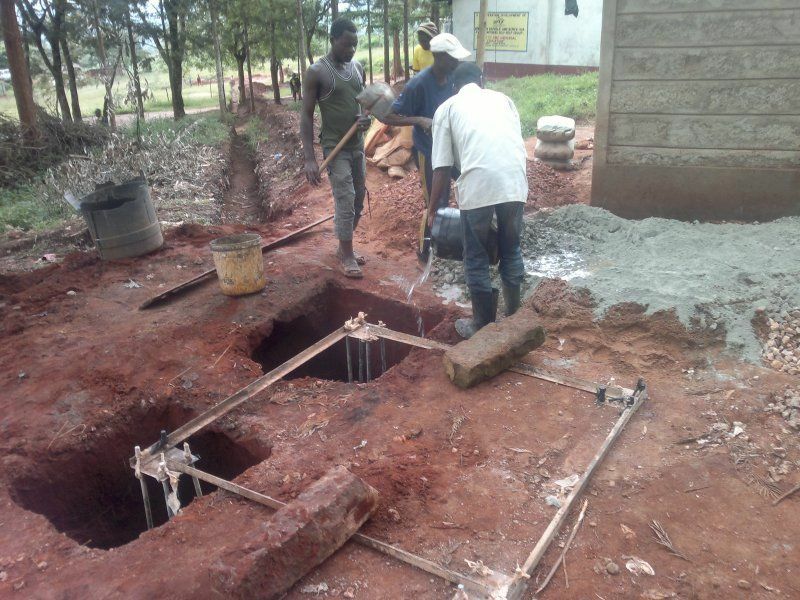 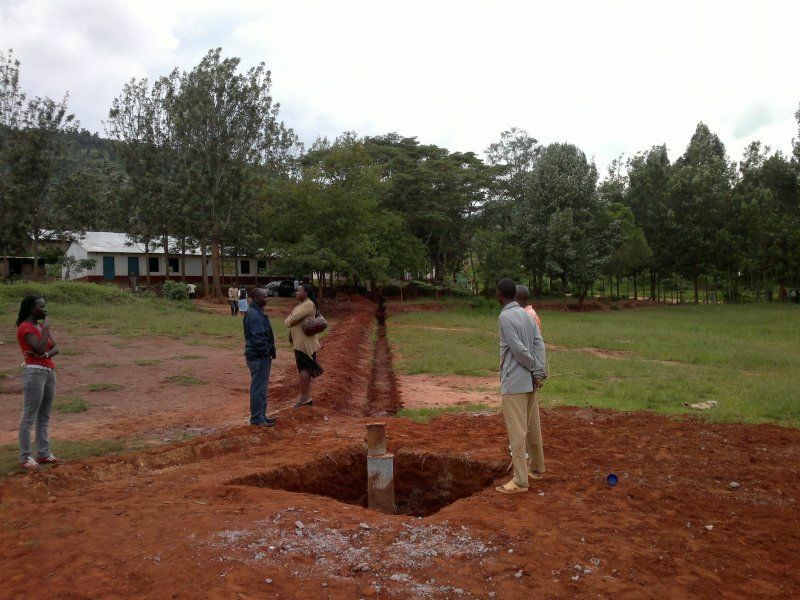 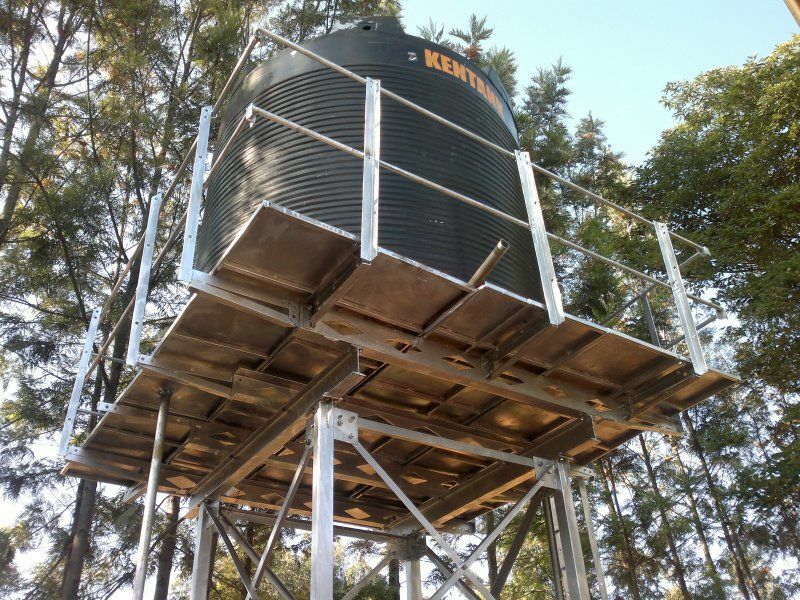 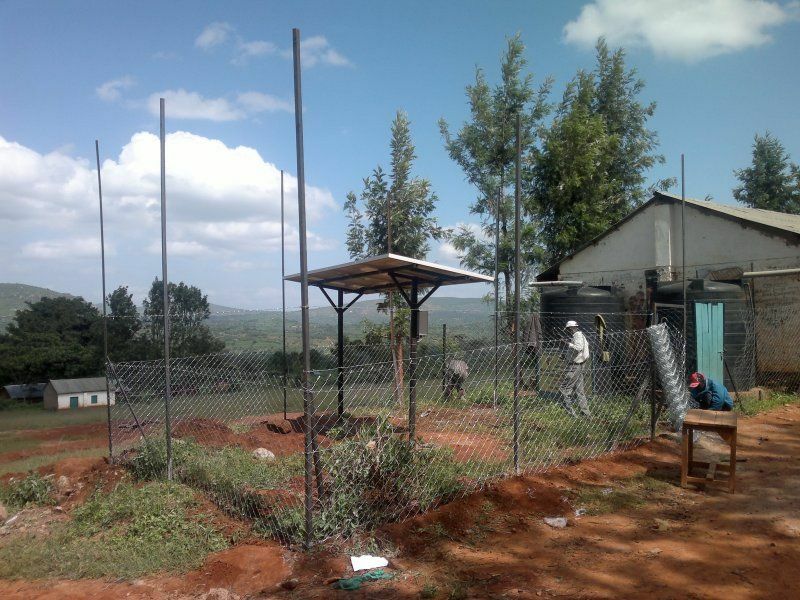 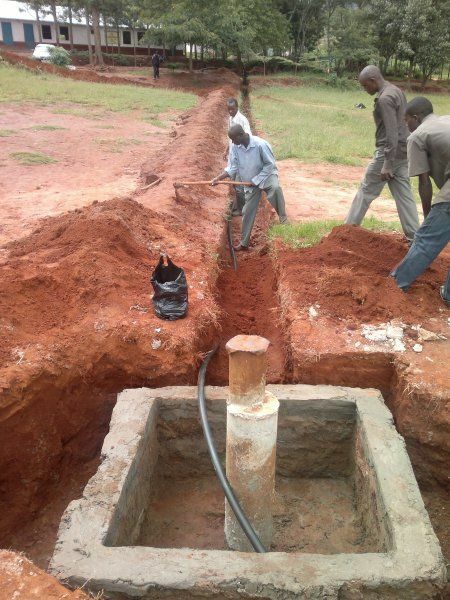 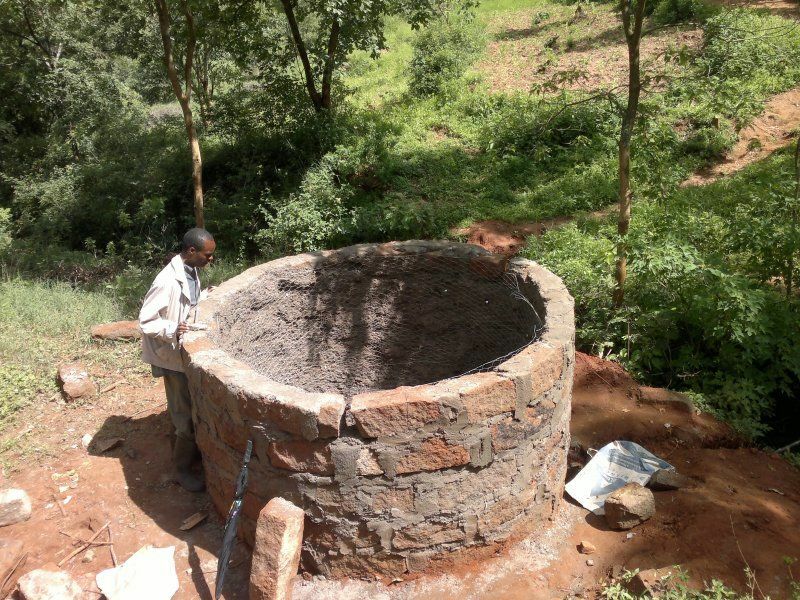 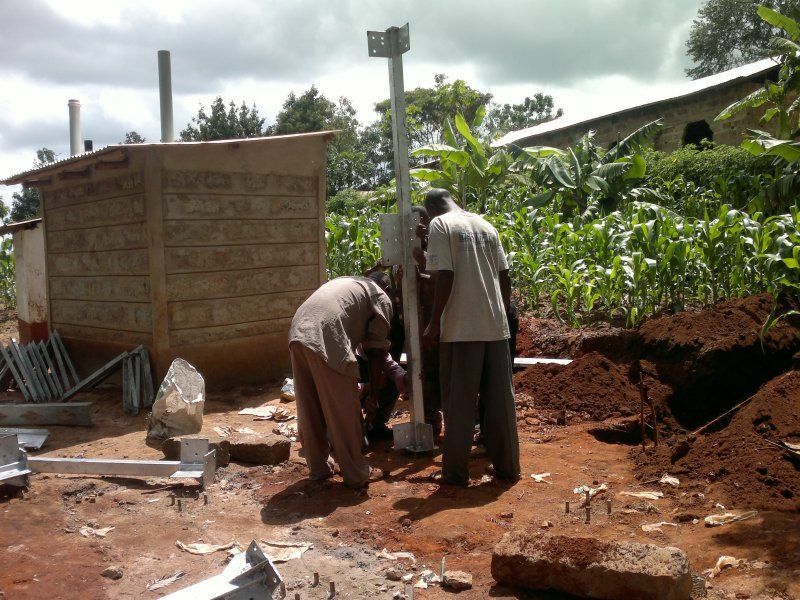 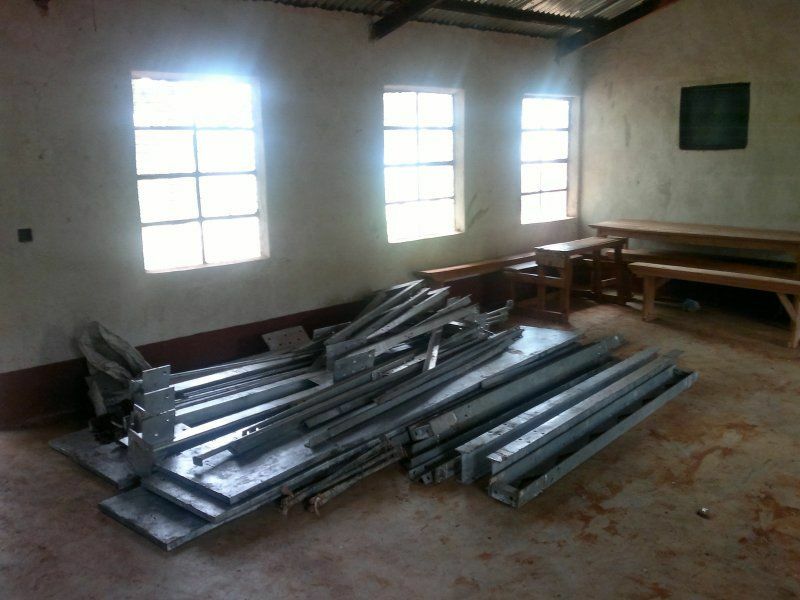 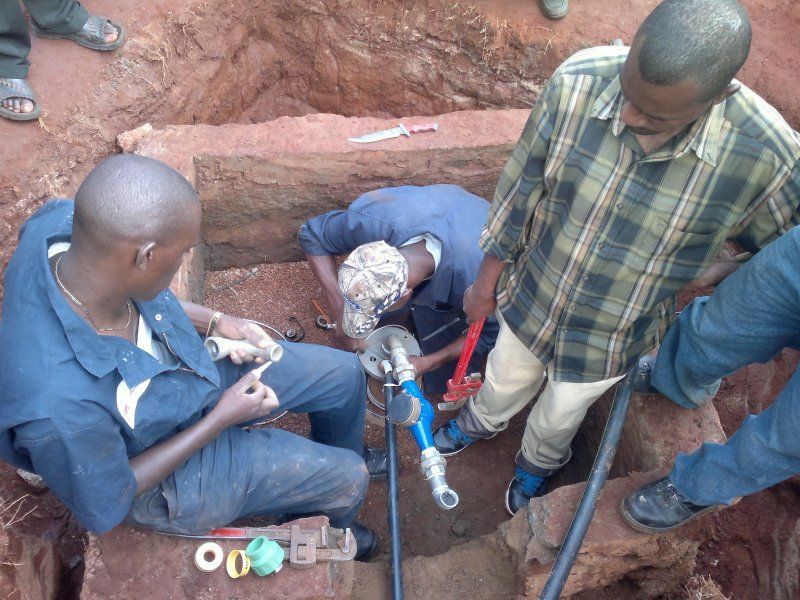 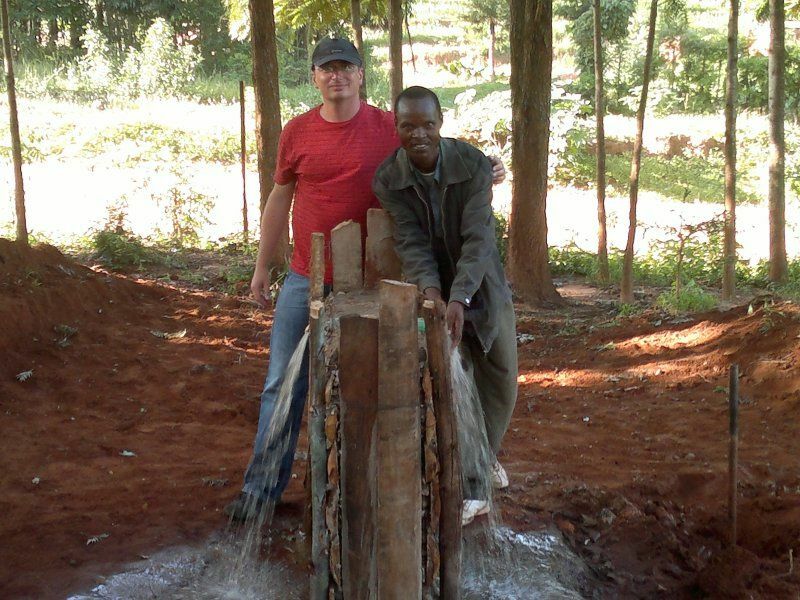 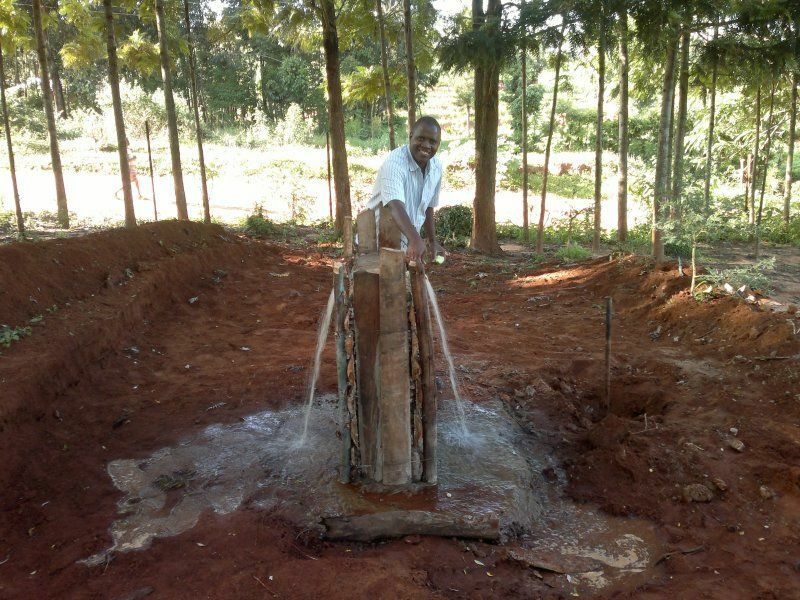 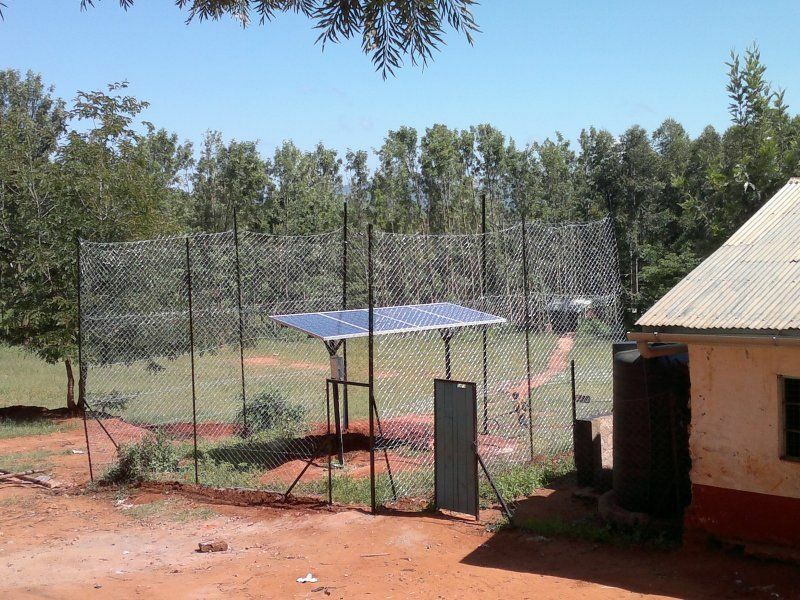 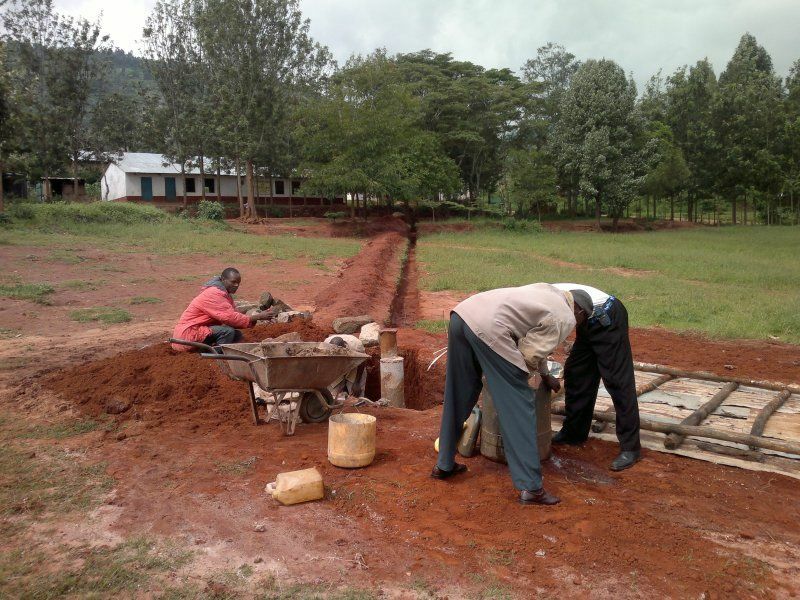 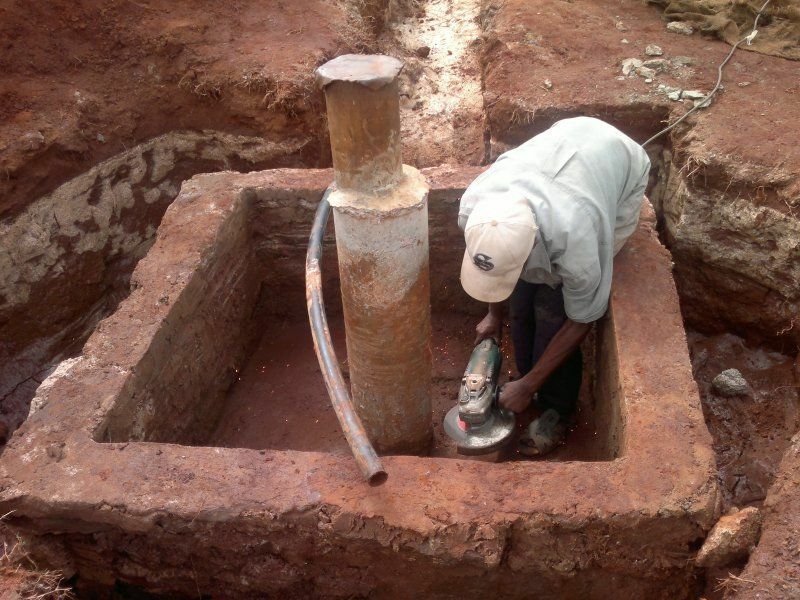 A rainwater collection system was also successfully constructed at three more schools by the use of the tanks from KPS. 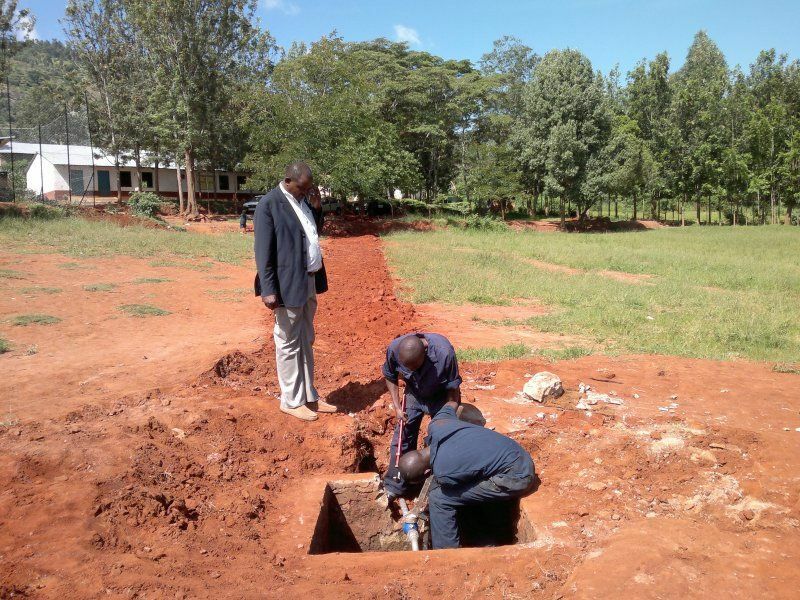 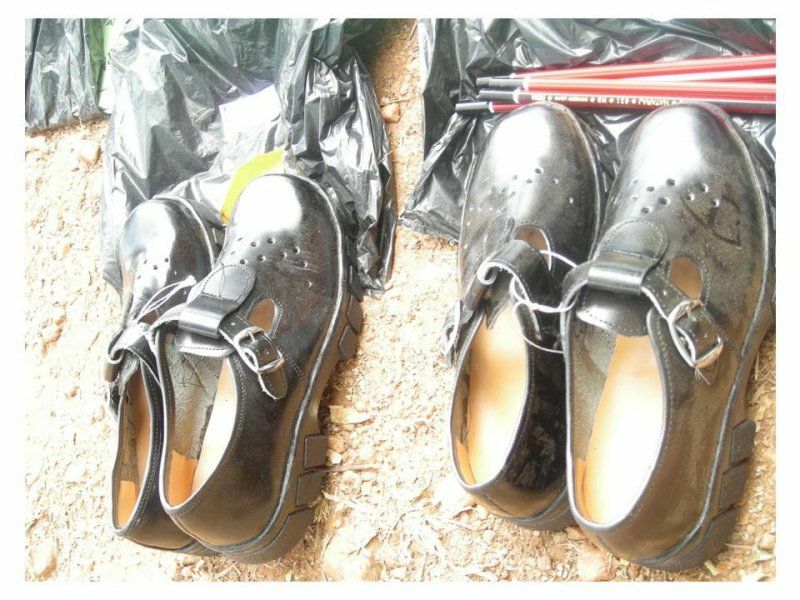 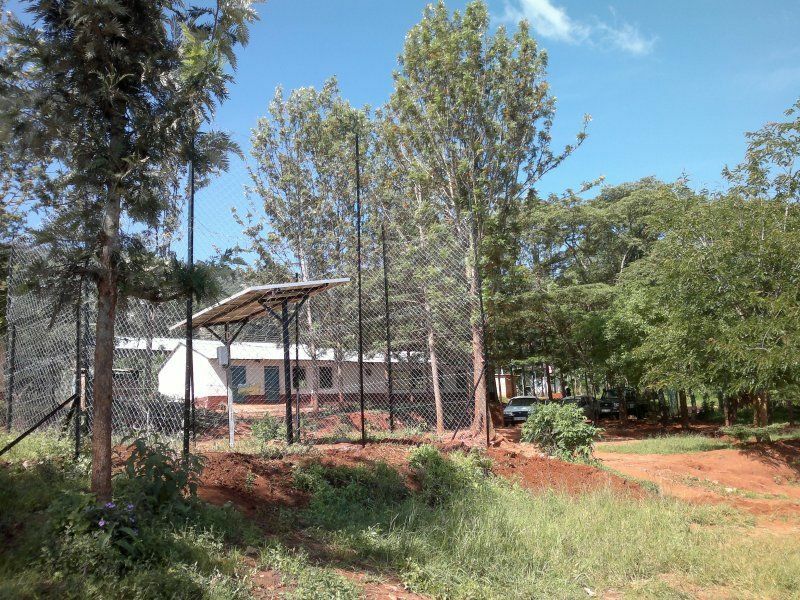 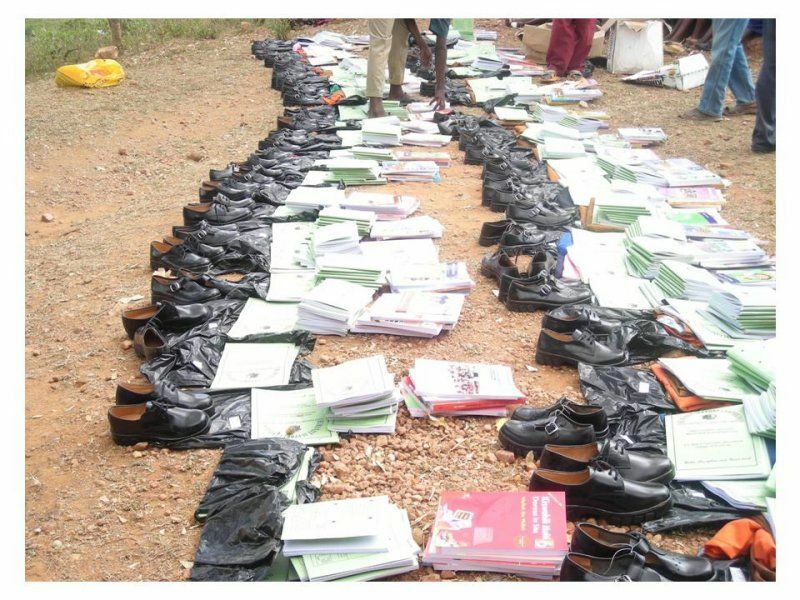 By 2012, the school had at its disposal two independent sources of water directly on the school grounds- 10 rainwater tanks (50 000 litres each) and a water well with the capacity which exceeded the consumption. 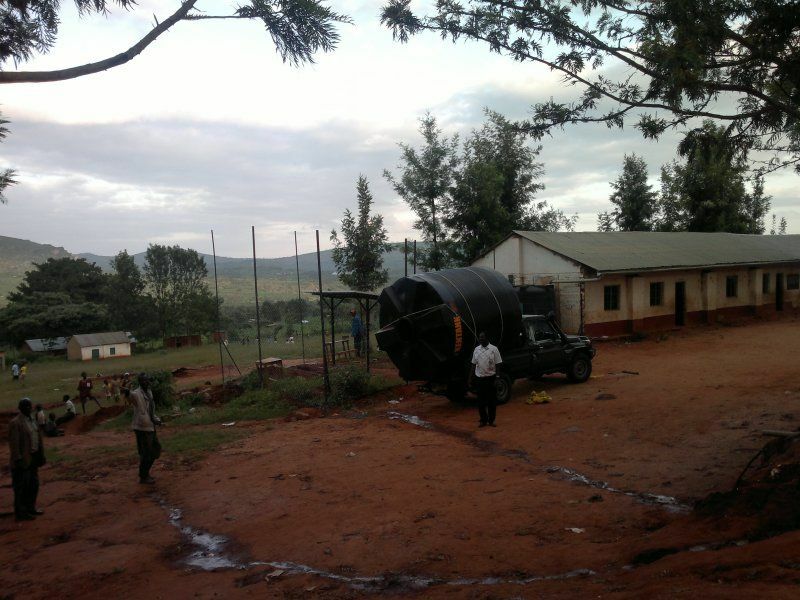 That is why the community made an agreement with the leadership of KPS that a part of the tanks would be provided for schools with no water supply. 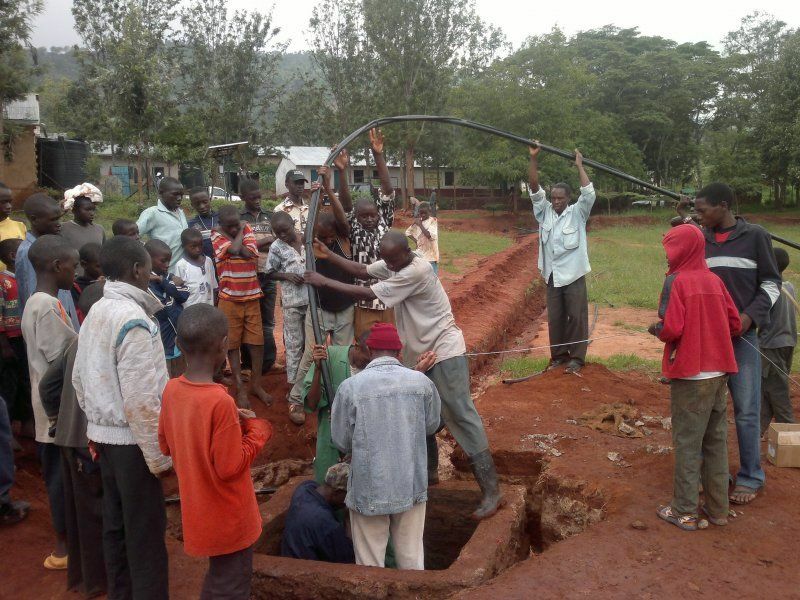 In the end, 6 tanks were moved: 2 to Kauti Secondary School, 2 to Kikombi Secondary School and 2 to St. Vincent Secondary School in Imilini. 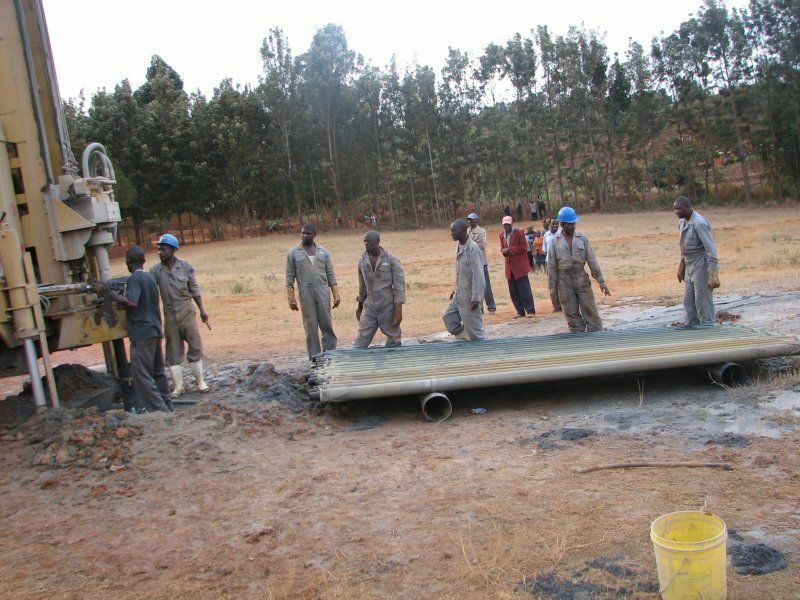 Only time will show to what extent will the expectations from 2012 be fulfilled, whether the works have been done properly, and how much will the irrigation system actually be used by the local farmers. 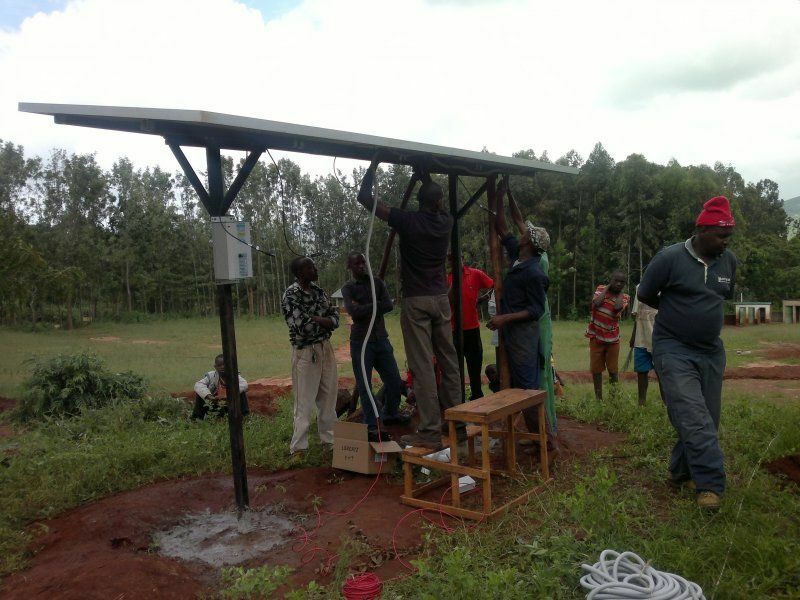 But it is safe to say, that everything that has been realised in the previous years is functional, beneficial, and fully used, often even by people from more distant areas. 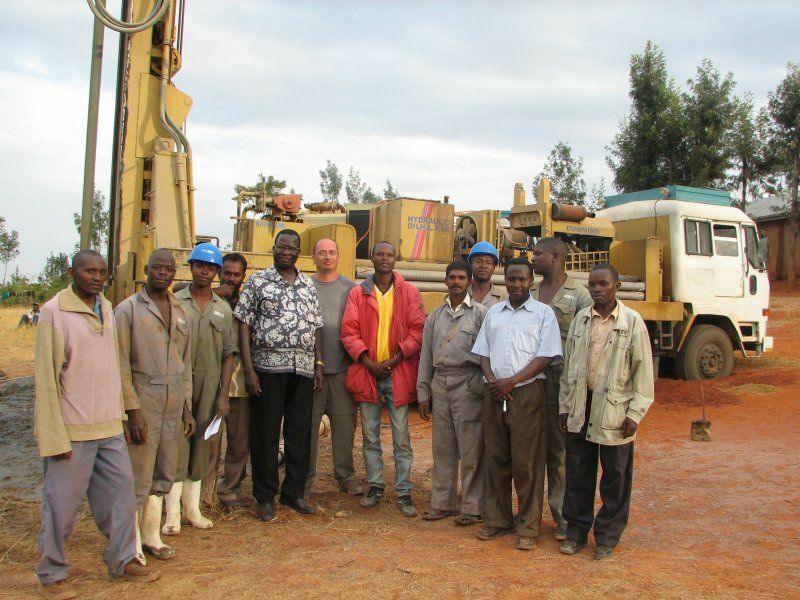 In near future, we do not plan any other phases of the project Water for Kauti. 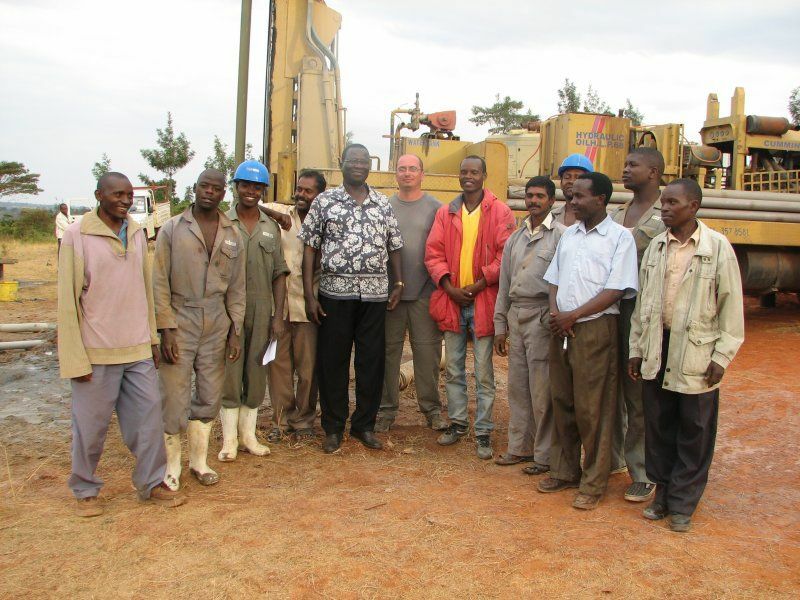 We have been monitoring the current situation and communicating with the local community in effort to ensure and improve the functioning of the project, so that it is sustainable and as useful and beneficial for the Kauti inhabitants as possible.